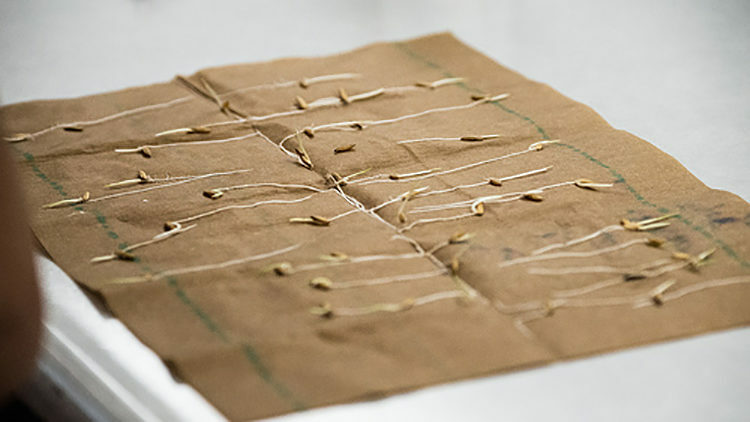 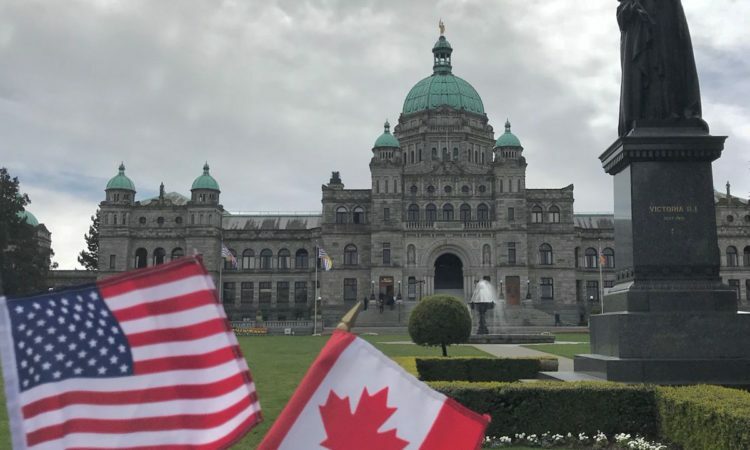 The sixth round of negotiations to modernize the Columbia River Treaty regime was held April 10-11 in Victoria, British Columbia. 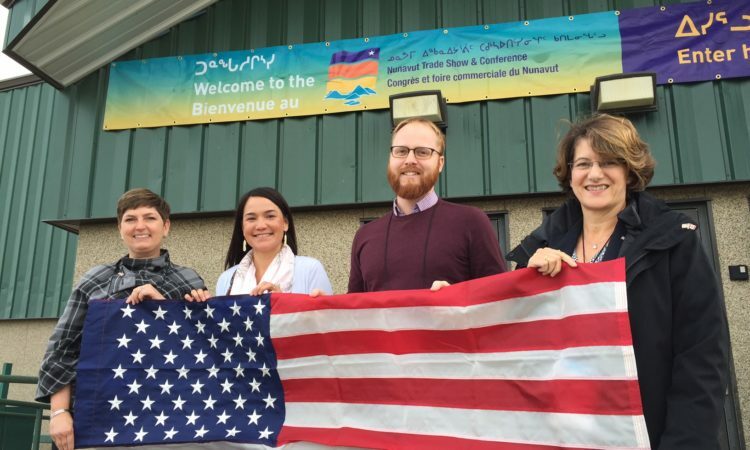 April 10, 2019 - Delegation from U.S. Embassy Ottawa and U.S. Consulate General Quebec City visit Goja Haven and Kugaaruk in Canada's Arctic. 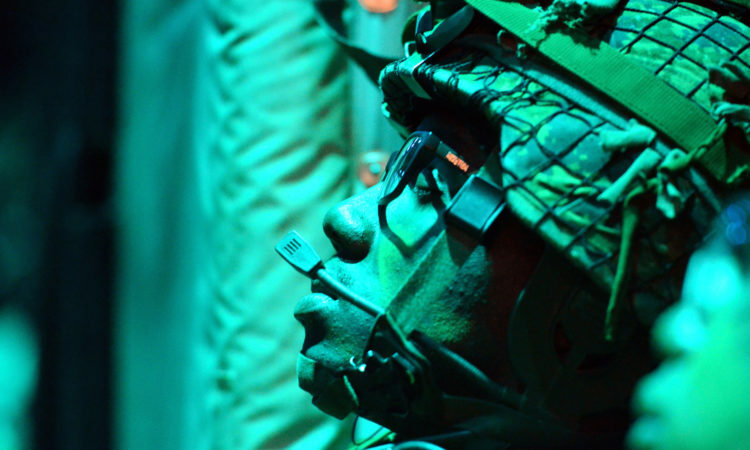 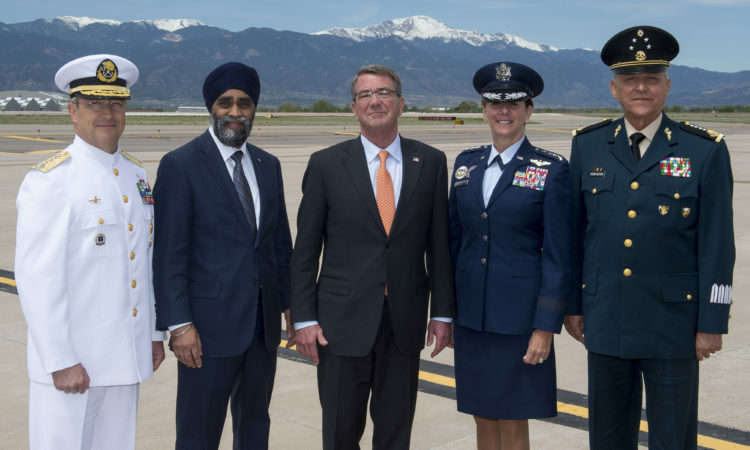 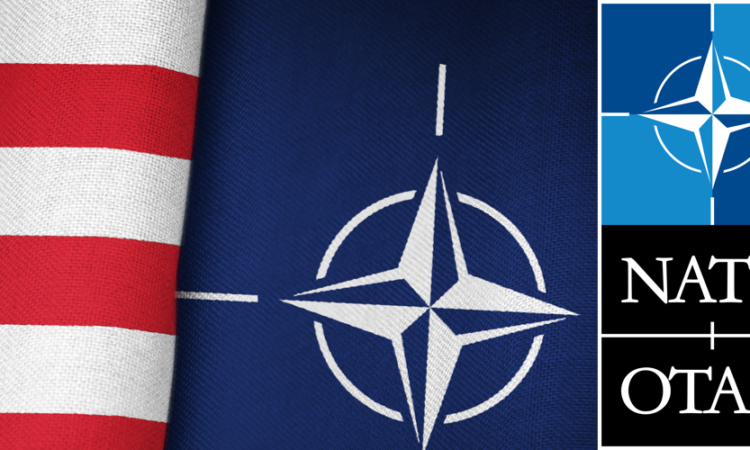 USNATO PAA is now accepting proposals which encourage public discussions and creative public engagements in Europe and/or Canada on the major theme of “NATO’s 70th Anniversary: New challenges and changing landscapes”. 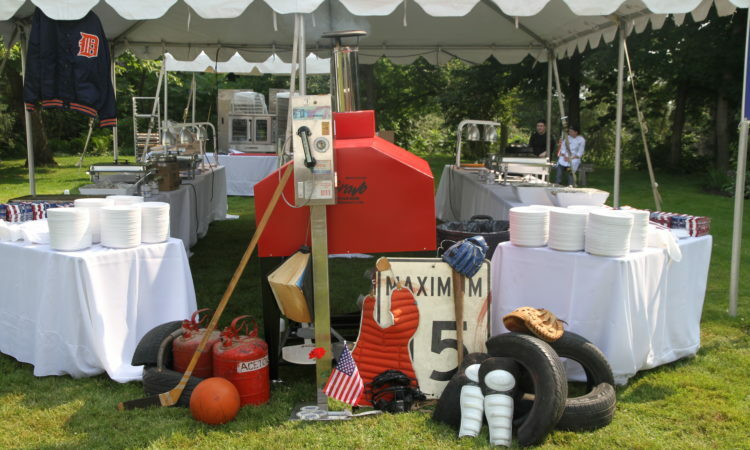 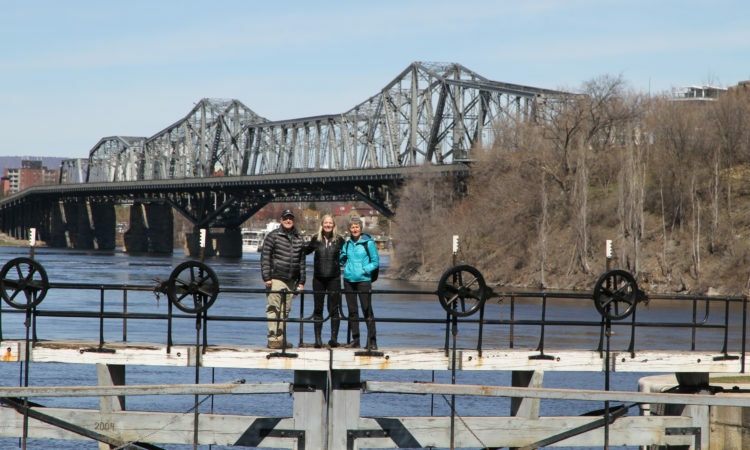 Join us in Ogdensburg on May 7, 2019. 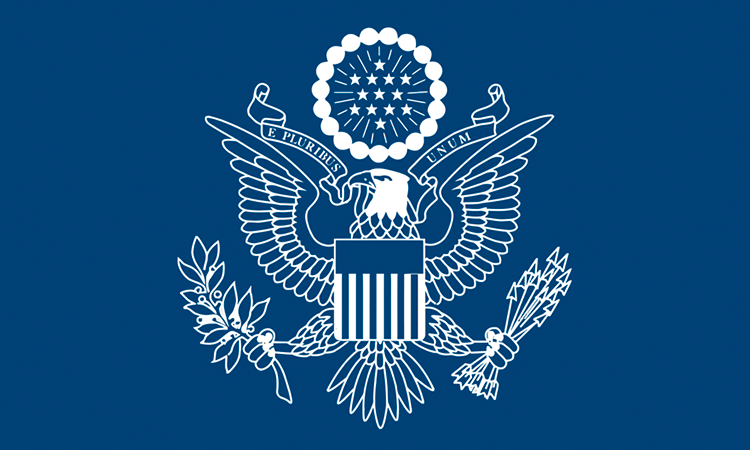 Under Secretary of State for Political Affairs David Hale will travel to Canada January 29-30. 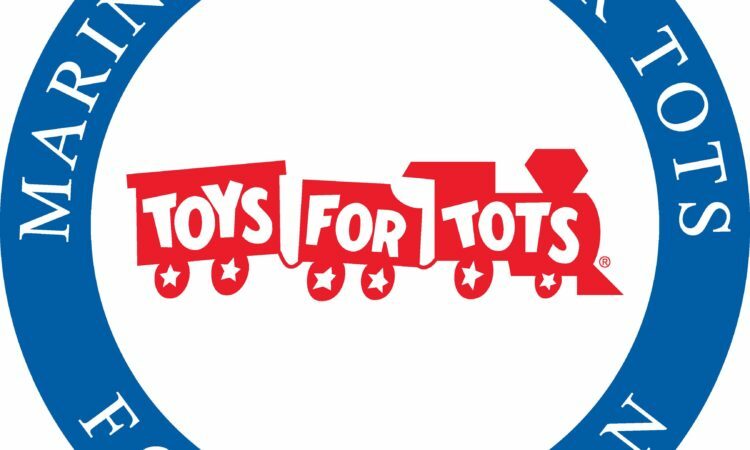 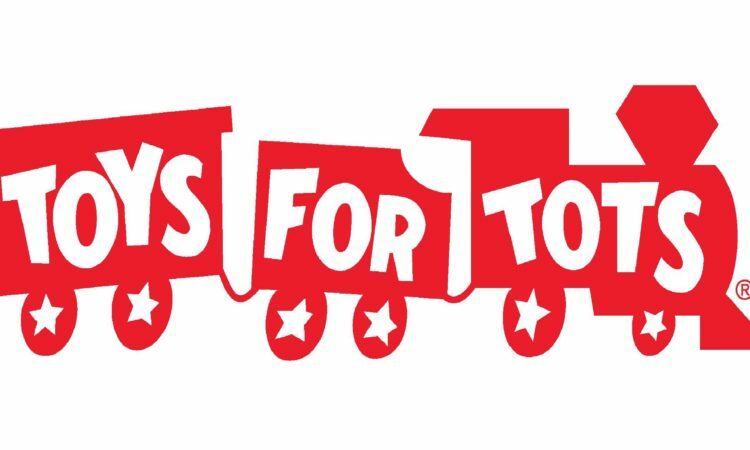 With a little help from Santa, U.S. Embassy Ottawa’s United States Marine Corps detachment and U.S. Navy personnel will deliver unwrapped toys to the children at Ottawa’s Ronald McDonald House. 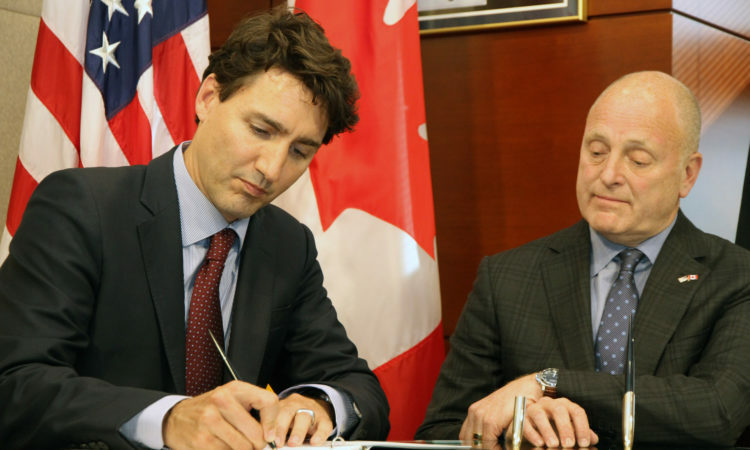 The United States and Canada held the fourth round of negotiations to modernize the Columbia River Treaty regime December 12-13. 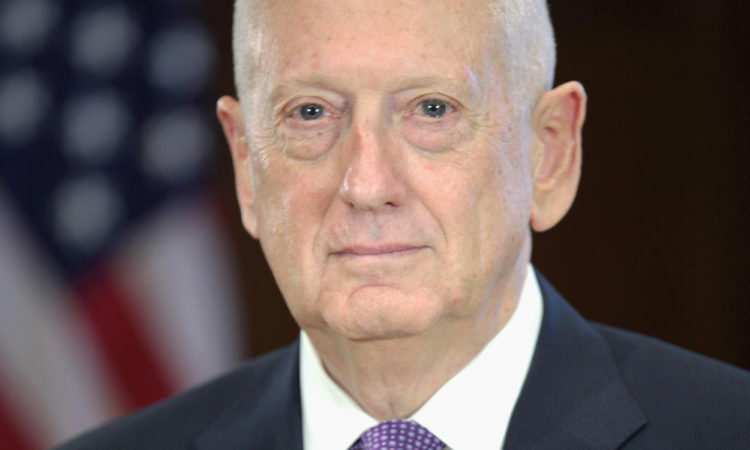 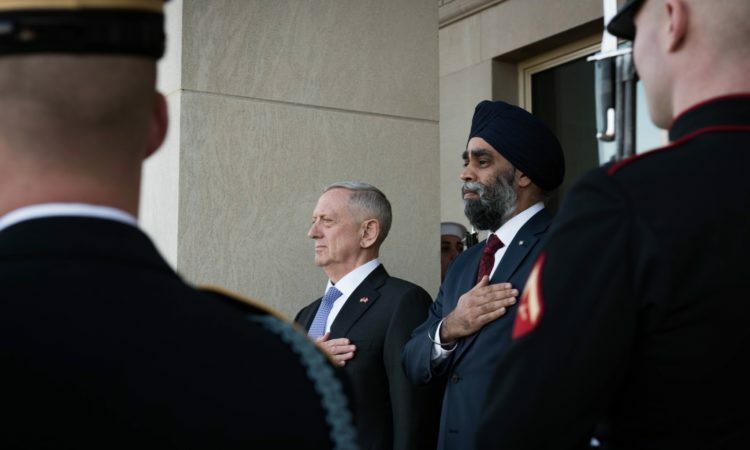 In Ottawa, Secretary Mattis will attend a Canada and U.S. co-hosted meeting of the top 13 military contributing nations to the Global Coalition to Defeat ISIS. 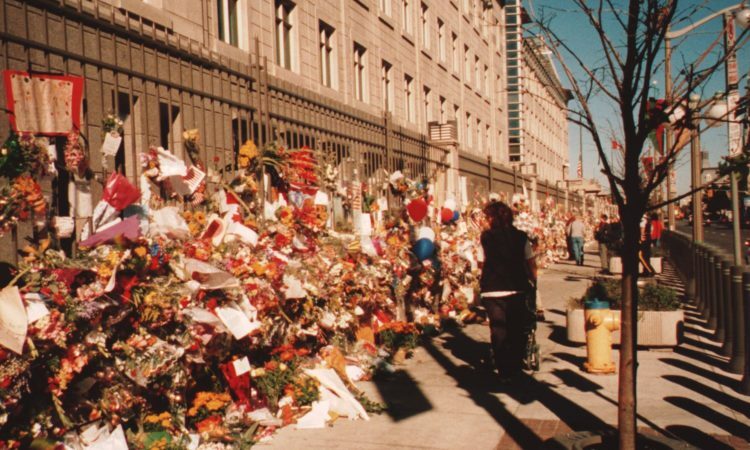 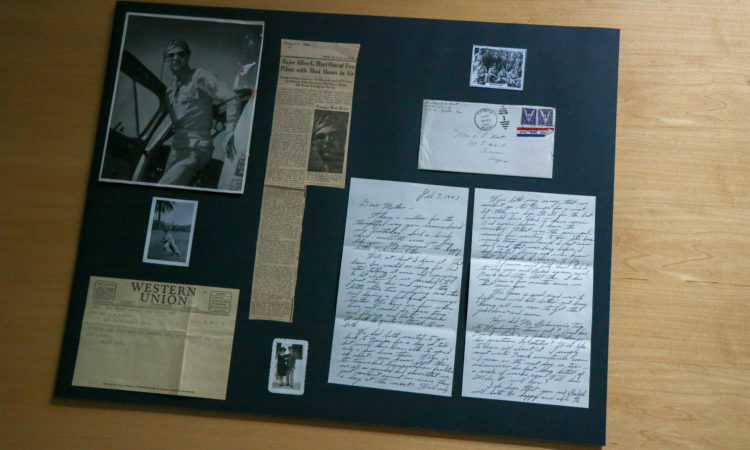 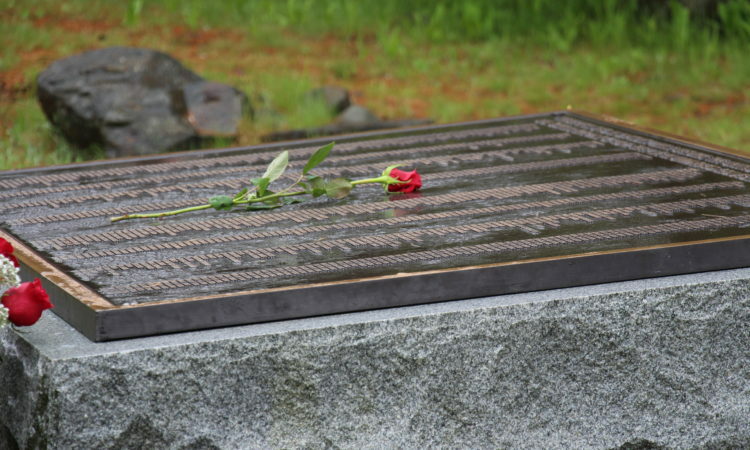 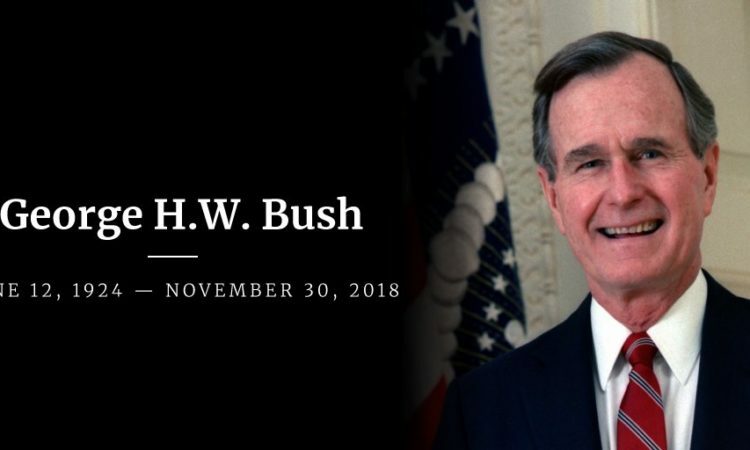 To honor his life and legacy, the United States Embassy in Ottawa invites members of the public and diplomatic community to express their sympathy to the Bush Family for their loss by signing a condolence book. 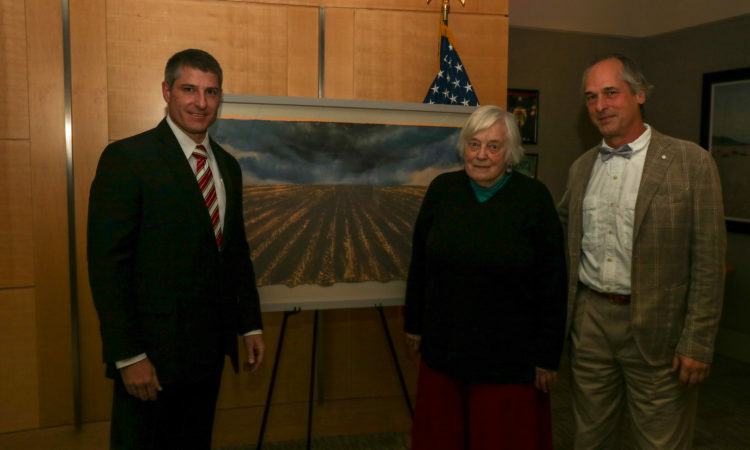 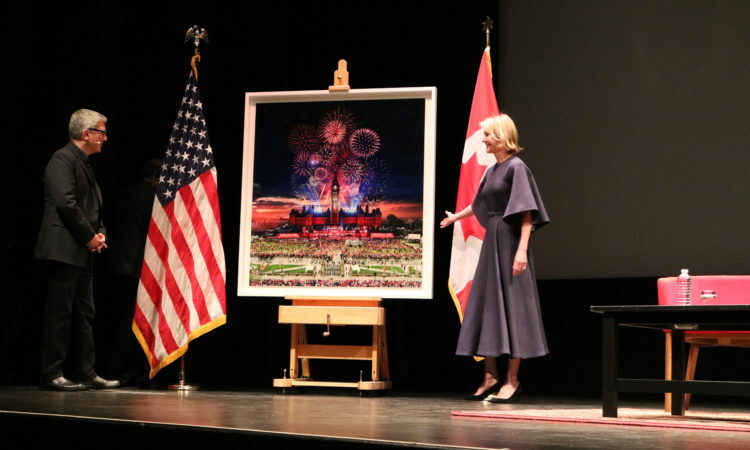 U.S. Embassy Ottawa Legal Attaché Kevin Vorndran welcomed acclaimed artist Claire Van Vliet to Ottawa this week as he accepted a piece of Van Vliet’s artwork to the U.S. Department of State’s permanent collection. 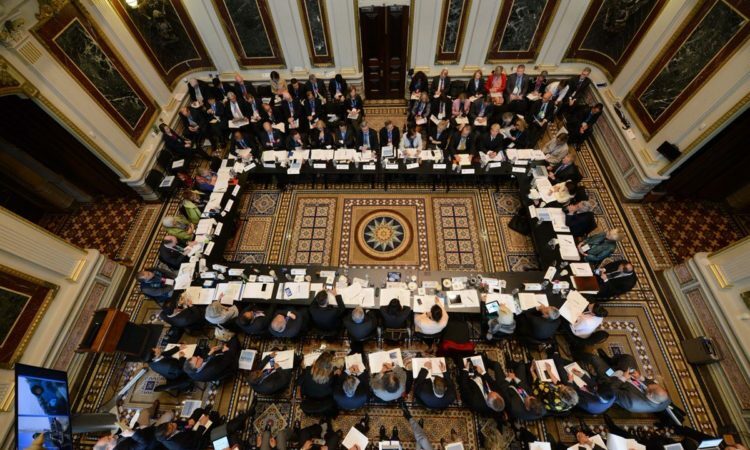 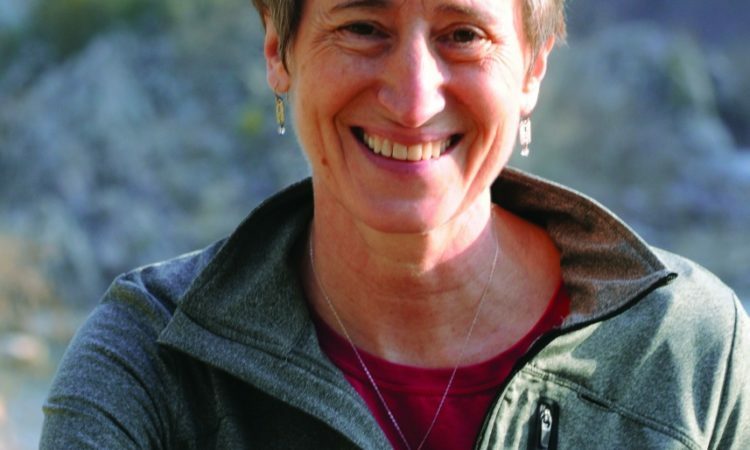 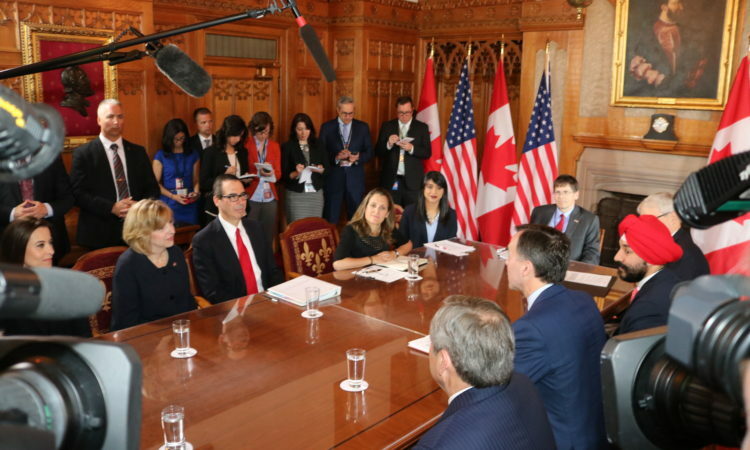 October 19, 2018 - The United States and Canada held the third round of negotiations to modernize the Columbia River Treaty regime October 17-18 in Portland, Oregon. 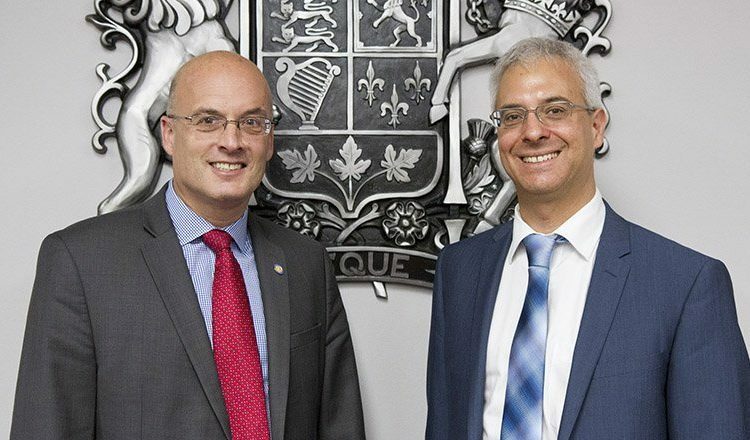 Assistant Secretary for International Security and Nonproliferation Christopher A. Ford is in Quebec, Canada, October 15–18. 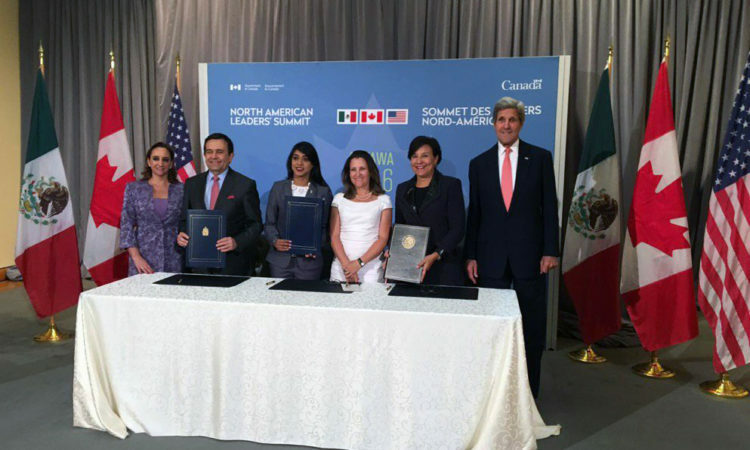 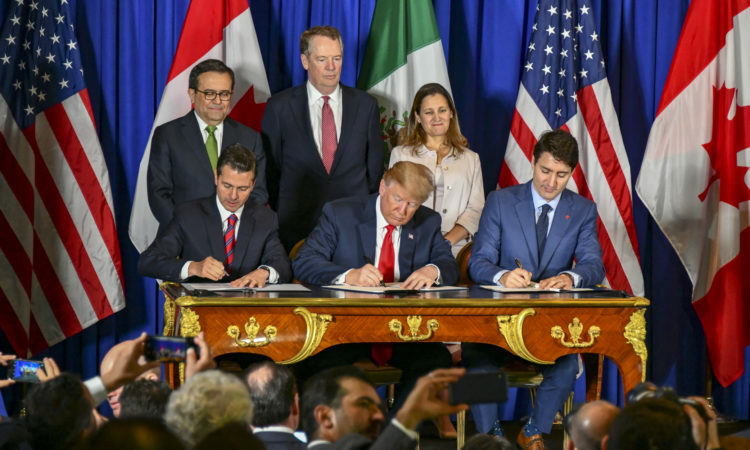 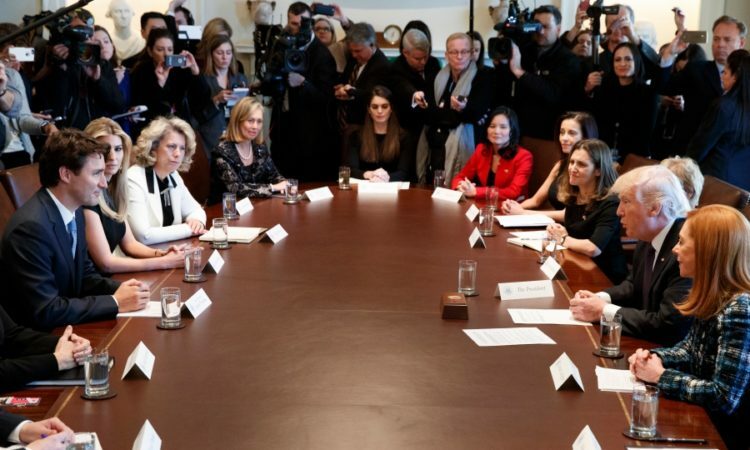 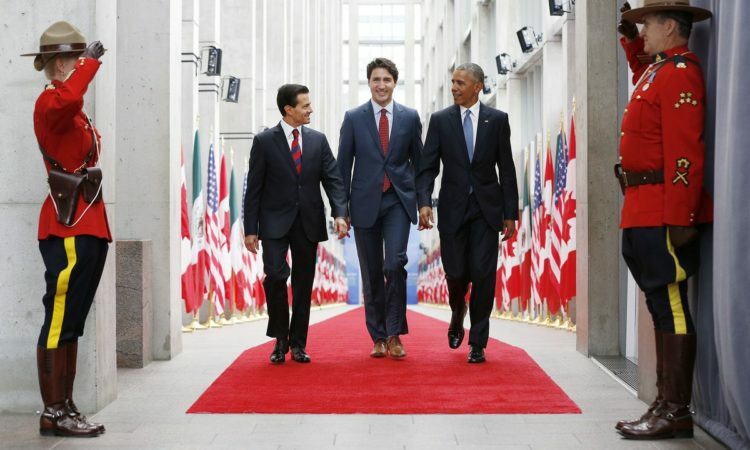 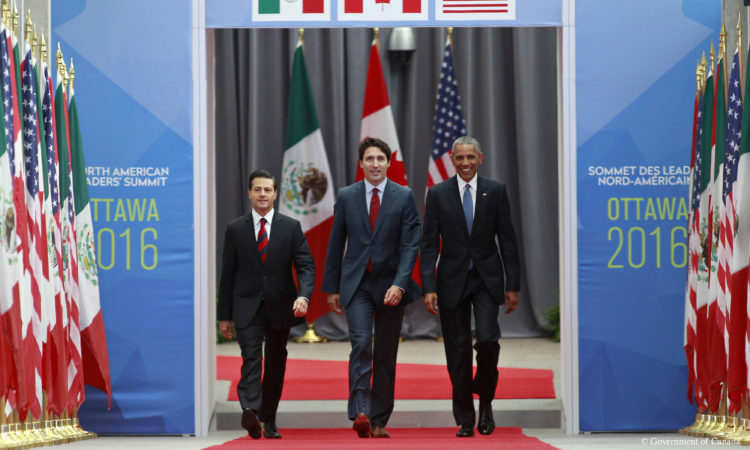 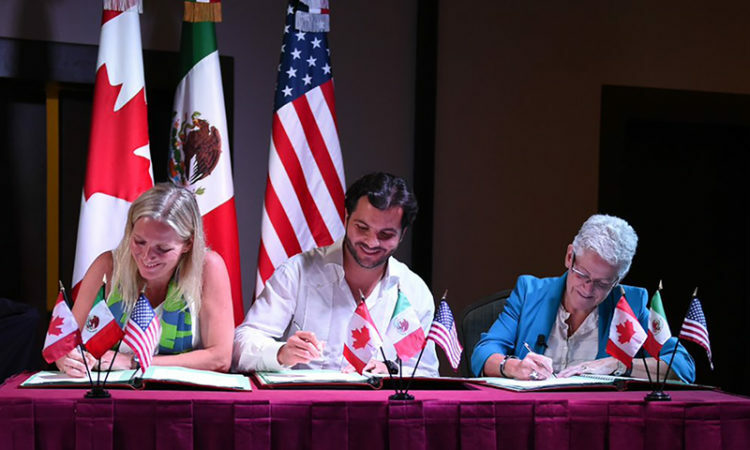 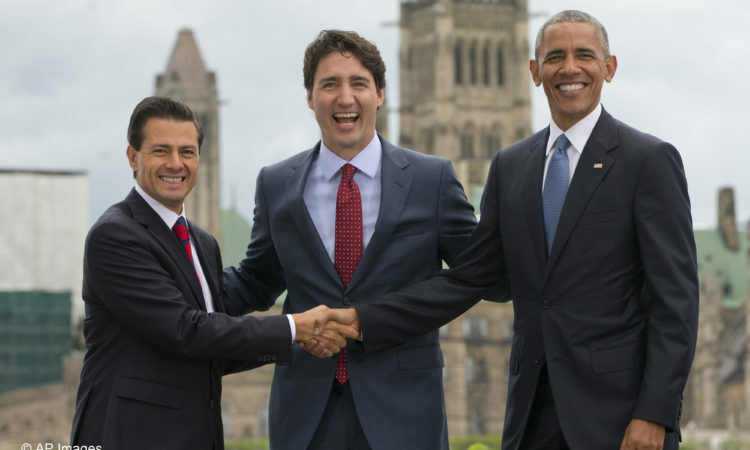 Today, Canada and the United States reached an agreement, alongside Mexico, on a new, modernized trade agreement for the 21st Century: the United States-Mexico-Canada Agreement (USMCA). 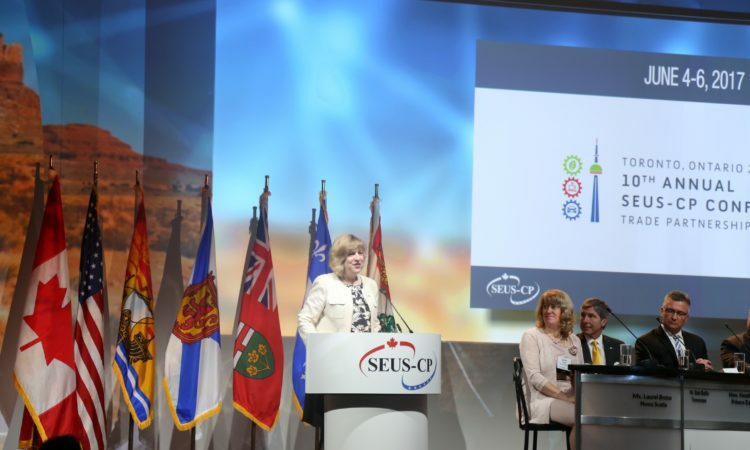 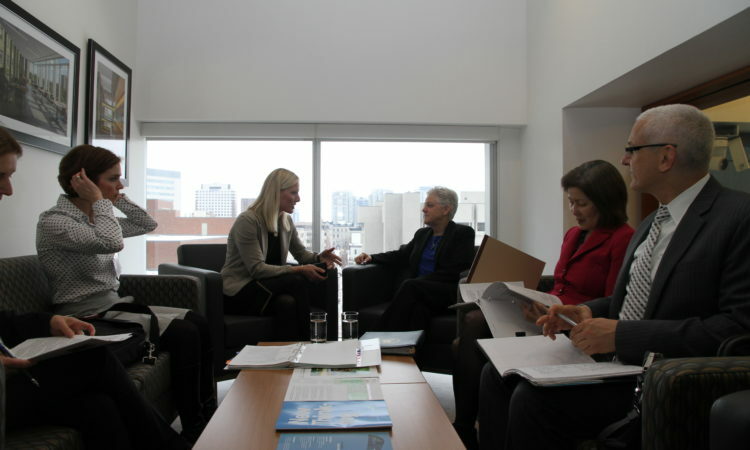 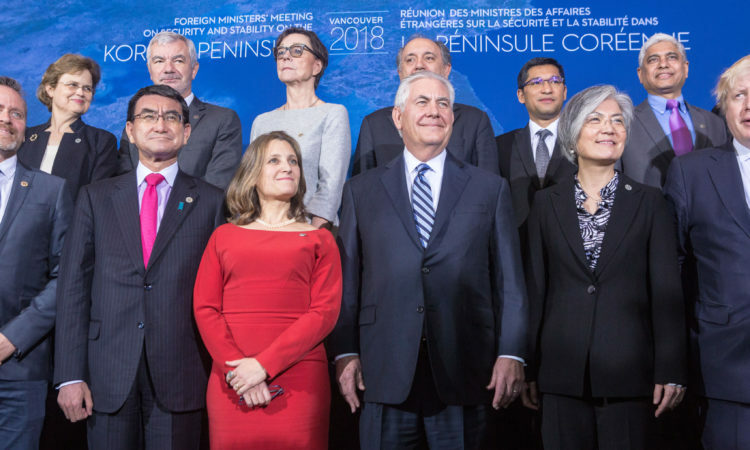 The Group of Seven (G-7) Environment, Energy, and Oceans Ministerial will take place in Halifax, Nova Scotia, September 19–21, 2018. 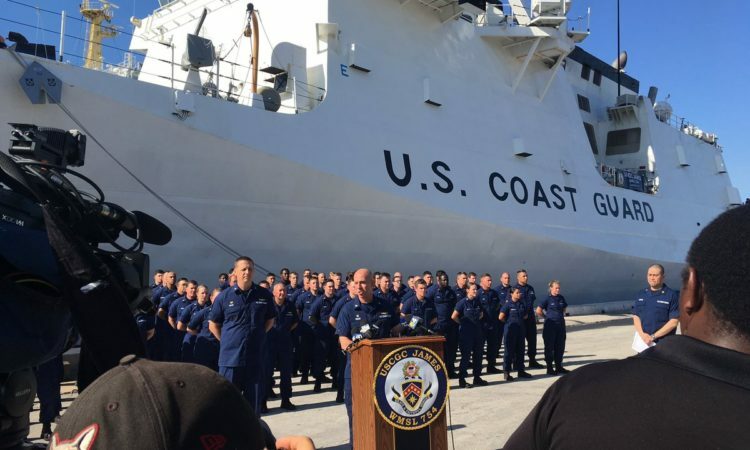 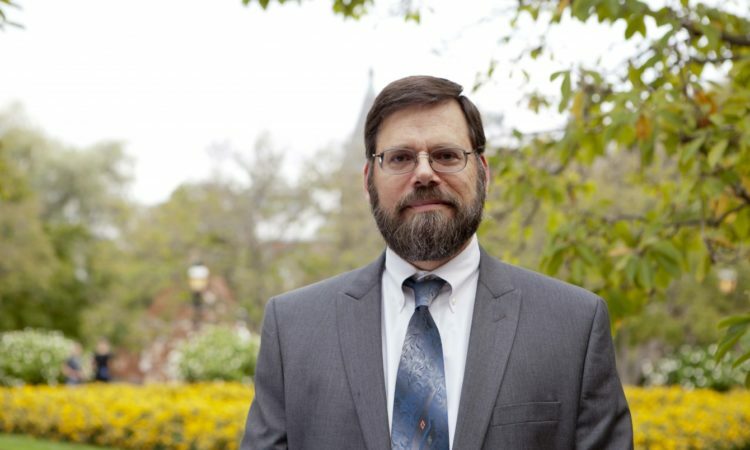 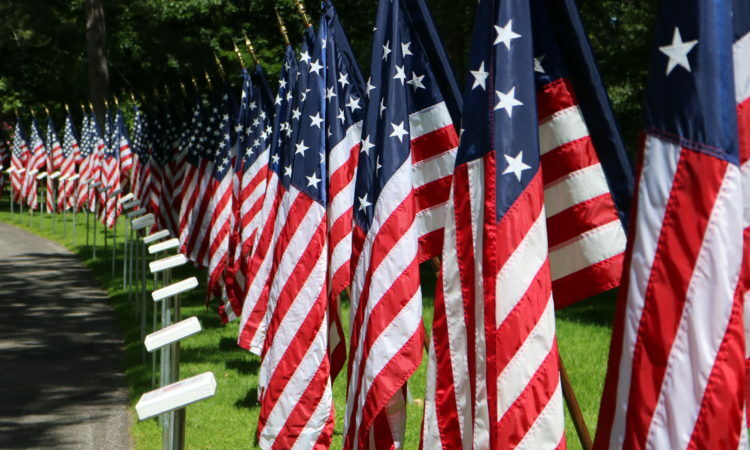 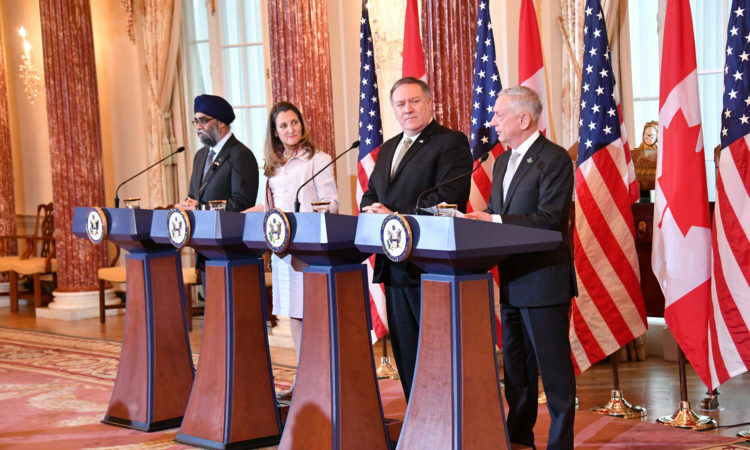 September 11, 2018 - Remarks delivered by U.S. 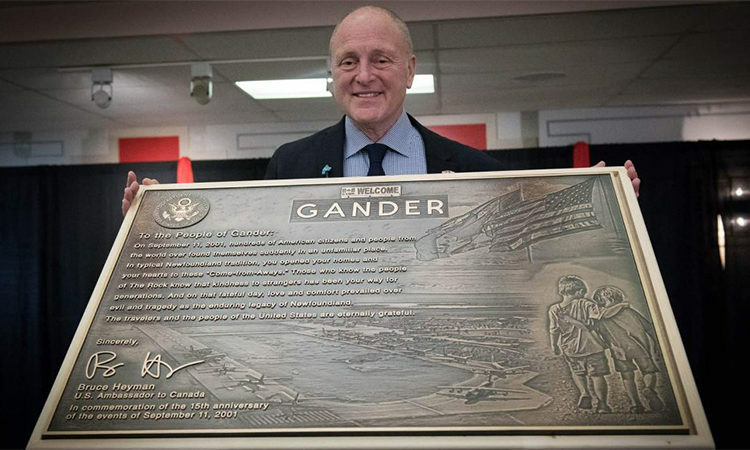 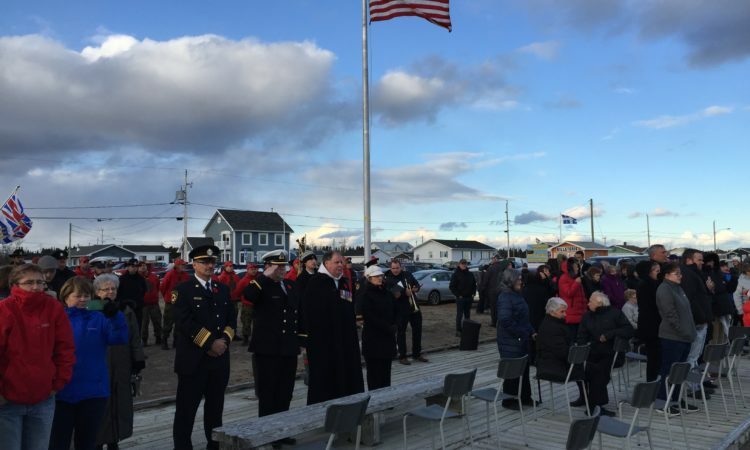 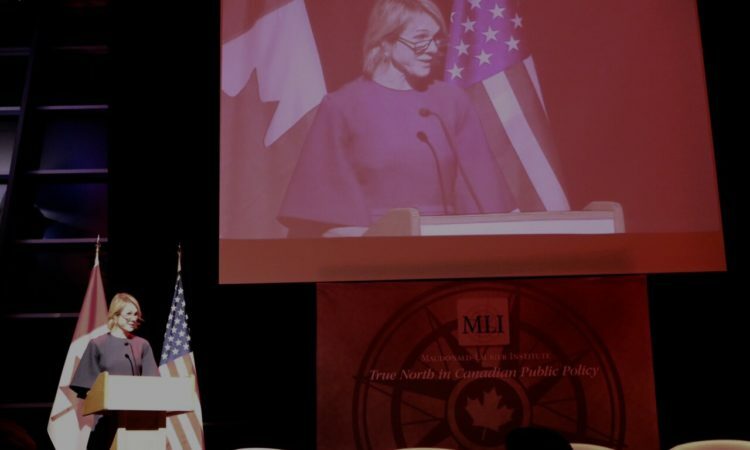 Ambassador to Canada Kelly Craft in Gander, Newfoundland on the anniversary of 9/11. 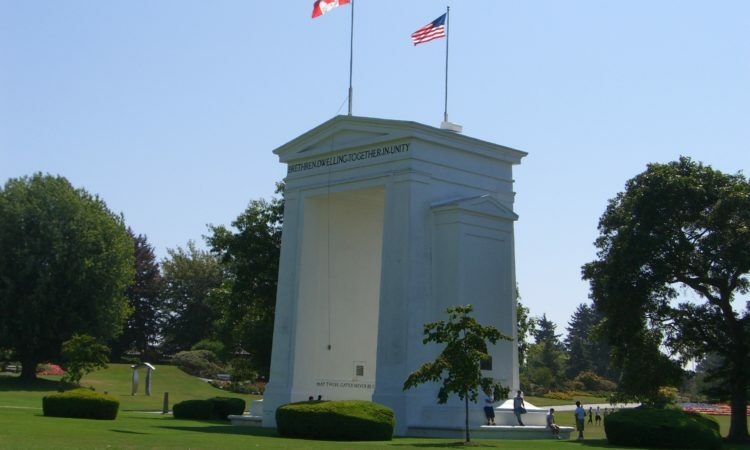 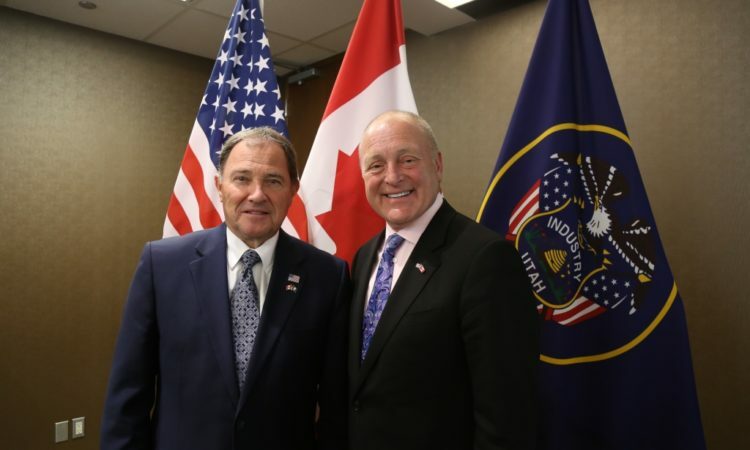 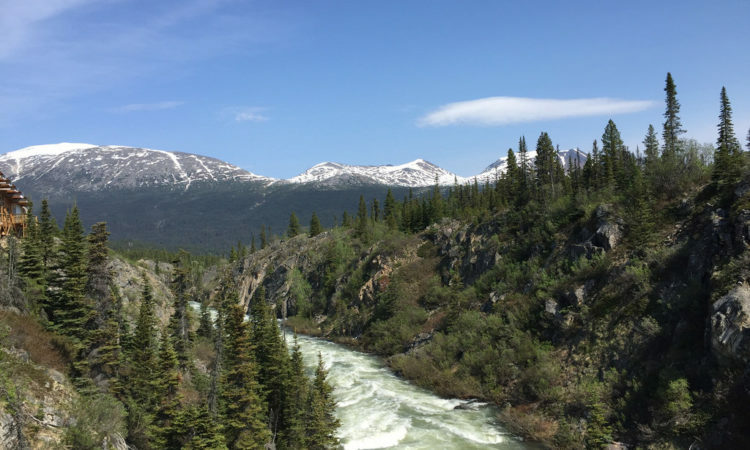 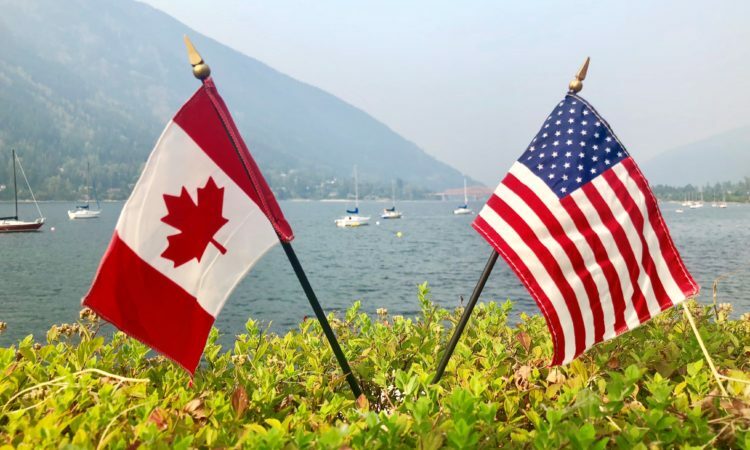 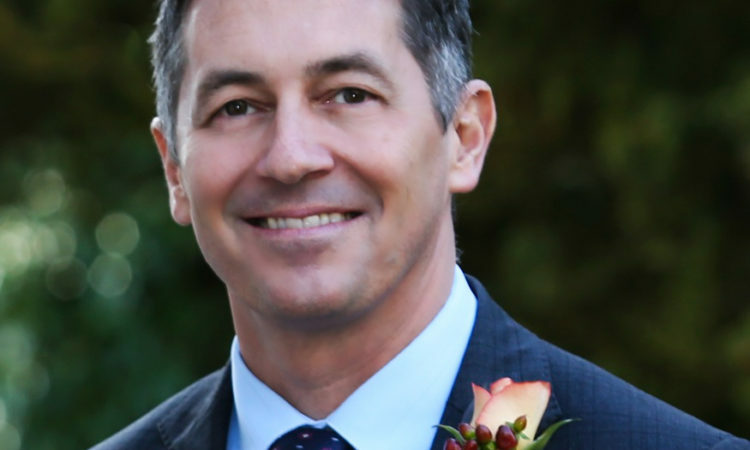 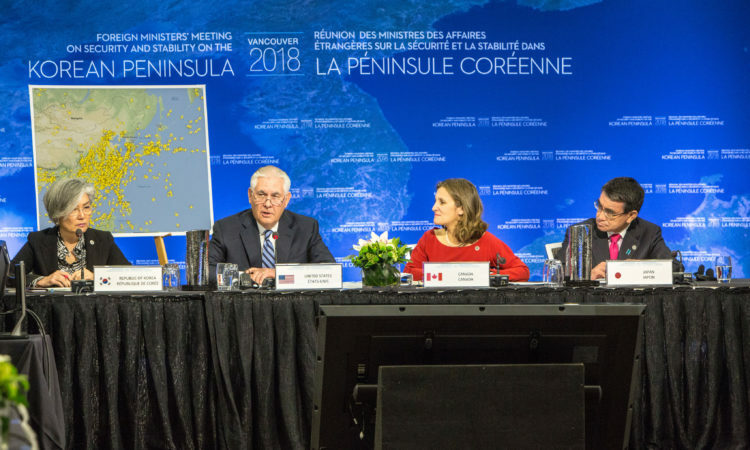 The United States and Canada held the second round of negotiations to modernize the Columbia River Treaty regime August 15-16, in Nelson, British Columbia. 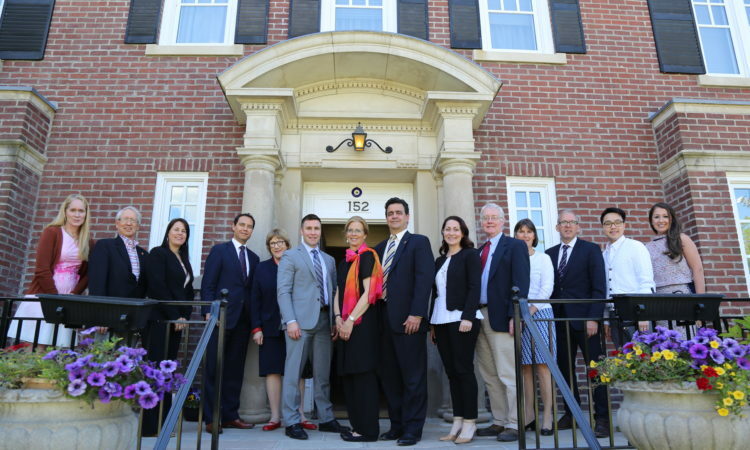 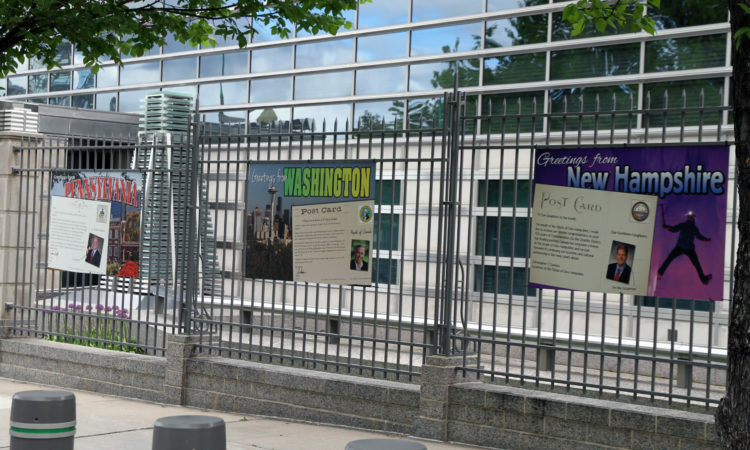 Canadian professionals in the field of Indigenous education will visit Washington, D.C., and other U.S. cities from August 4-15 as participants in an International Visitor Leadership Program (IVLP). 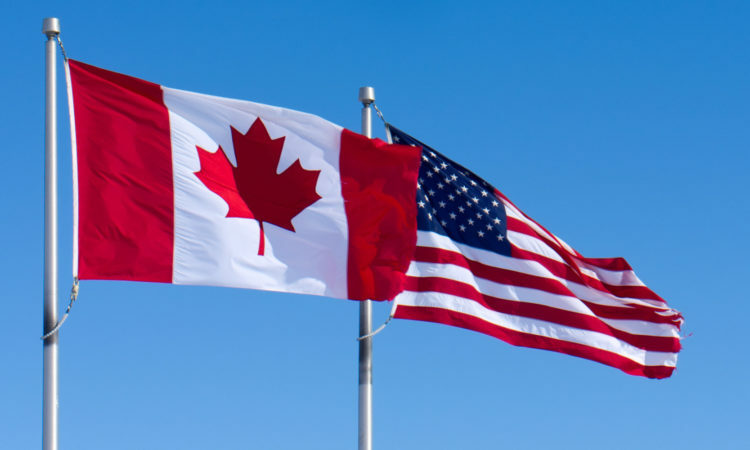 "On behalf of the Government of the United States of America, congratulations to the Canadian people on Canada Day." 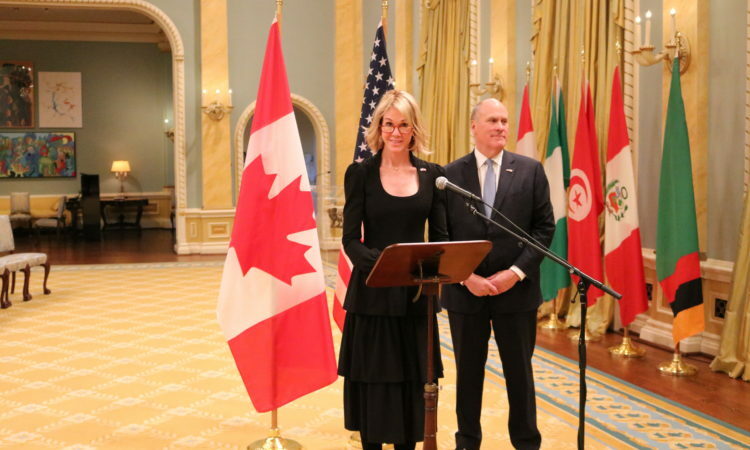 Secretary of Homeland Security Kirstjen M. Nielsen today met with the Minister of Immigration, Refugees, and Citizenship for Canada Ahmed Hussen in Washington, D.C to reaffirm their commitment to working together on immigration and border security issues. 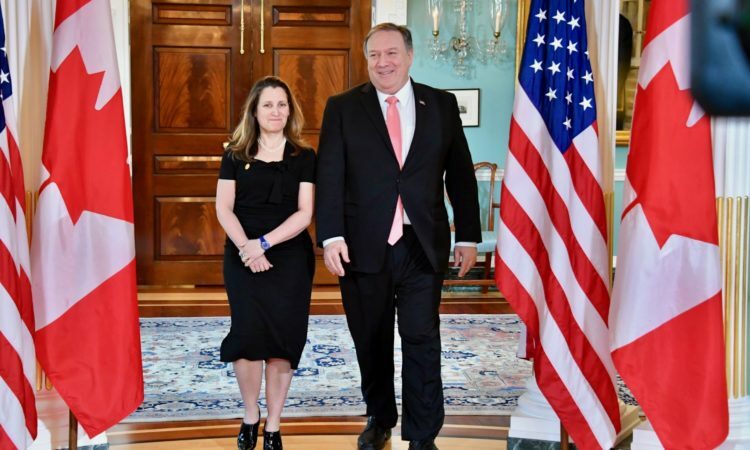 The United States and Canada will continue to work to ensure that all people – including LGBTI people – can live in dignity, freedom, and equality. 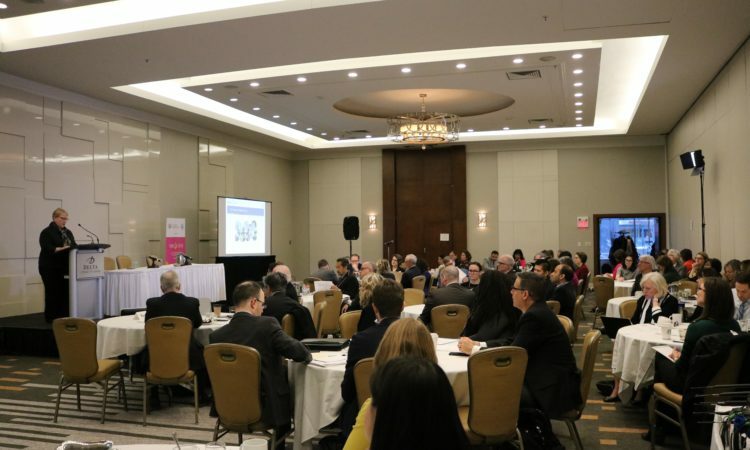 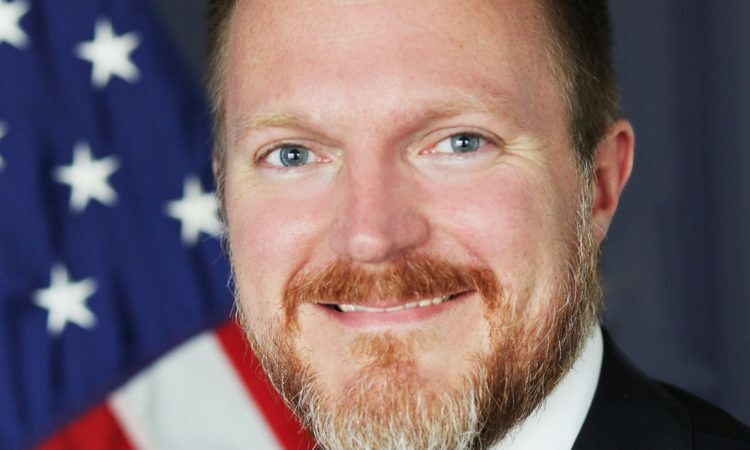 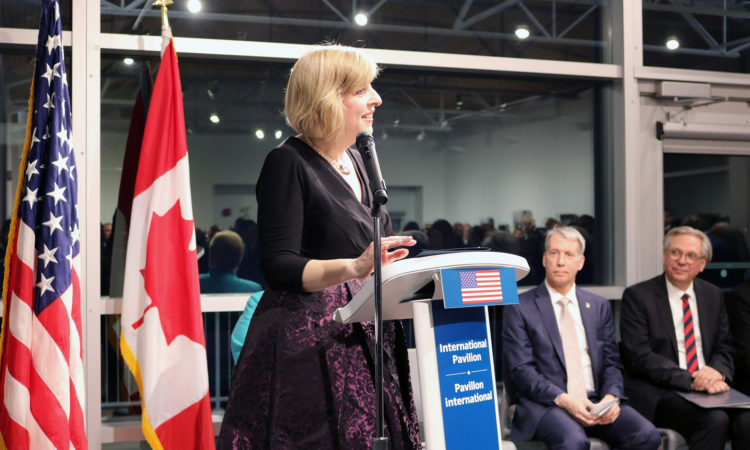 Canadian professionals in the fields of public policy, law enforcement, and non-profit leadership will visit Washington, D.C., and other U.S. cities from May 7 to 25 as participants in an International Visitor Leadership Program (IVLP). 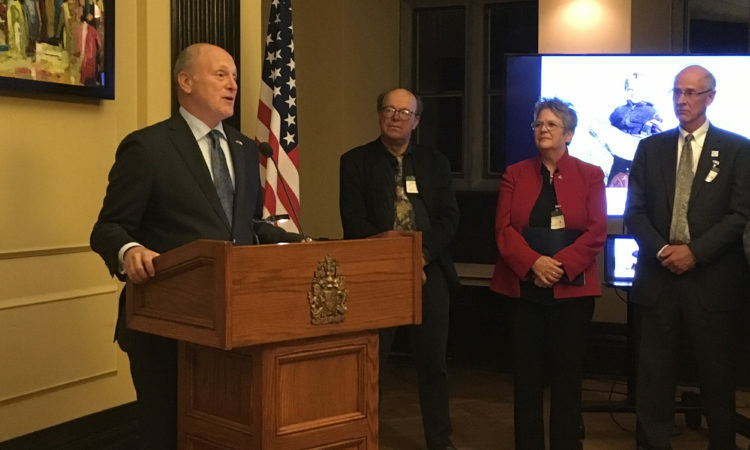 The Embassy of the United States in Ottawa, in partnership with the National Gallery of Canada (NGC), is pleased to welcome renowned American art critic Peter Schjeldahl for the second lecture in the third edition of the Contemporary Conversations series on February 8, 2018. 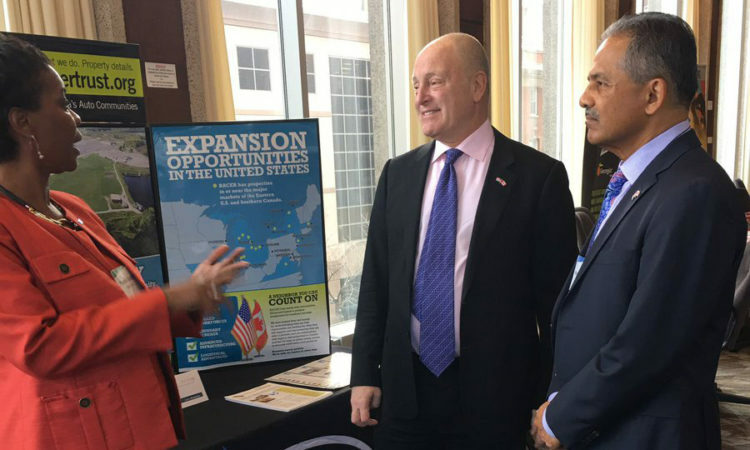 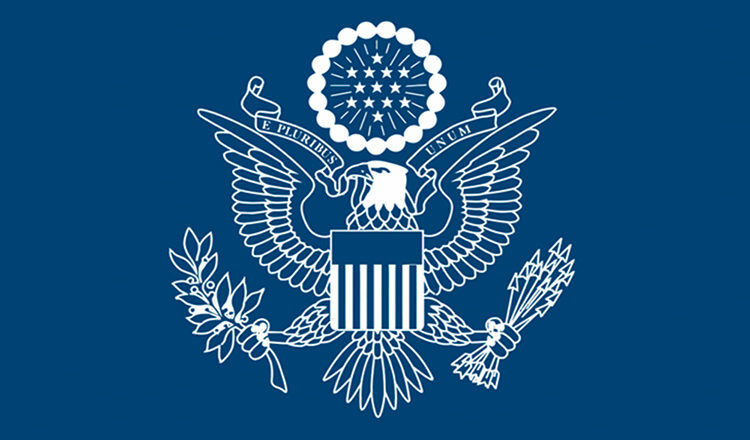 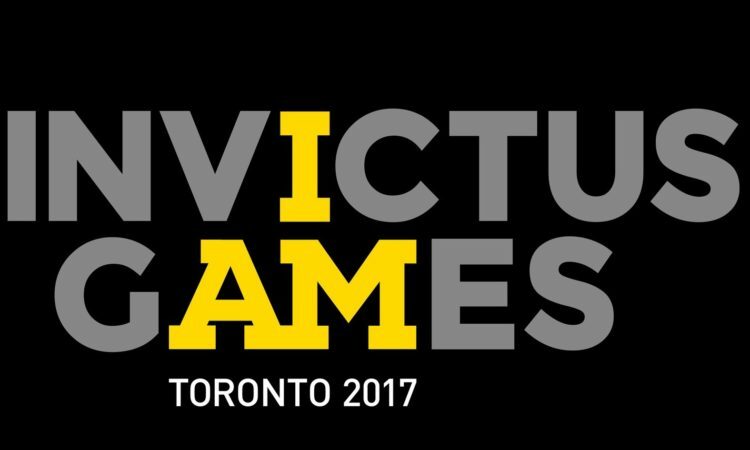 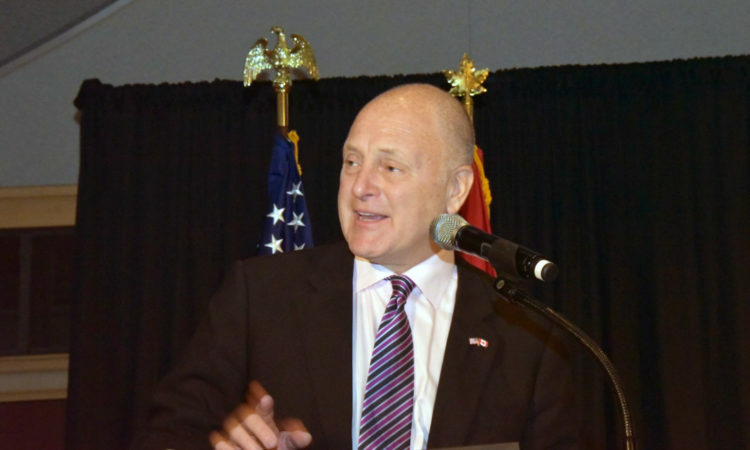 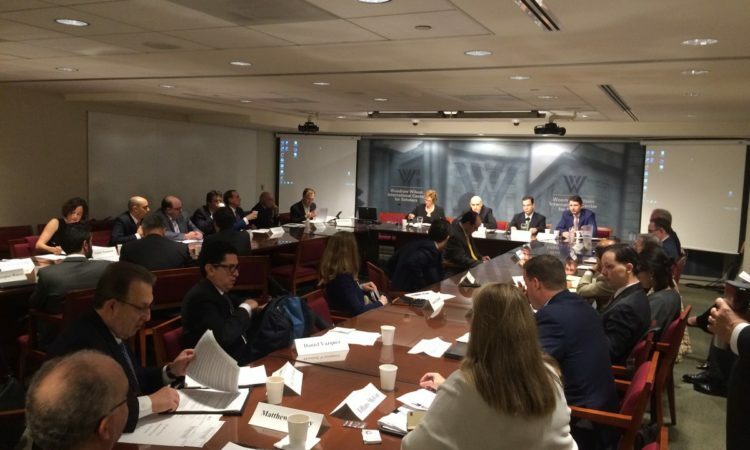 The U.S. Department of State and the U.S. Embassy in Ottawa, in partnership with the Strong Cities Network, has invited seven mayors and other representatives from Canadian cities to Washington, D.C., for a workshop January 24, 2018, with American and international mayors on Countering Violent Extremism (CVE). 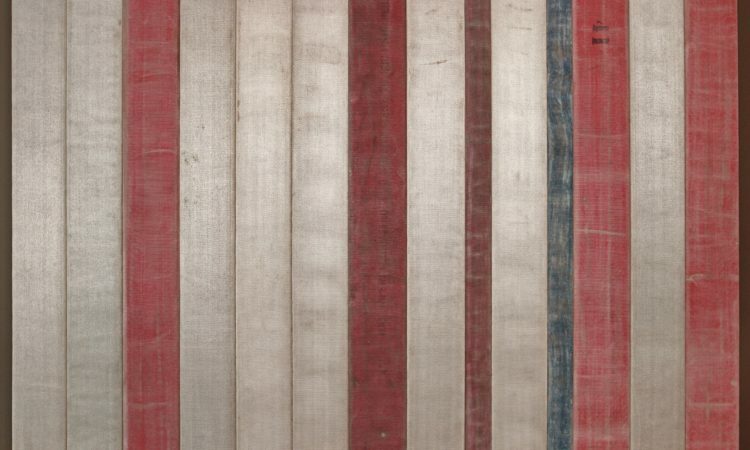 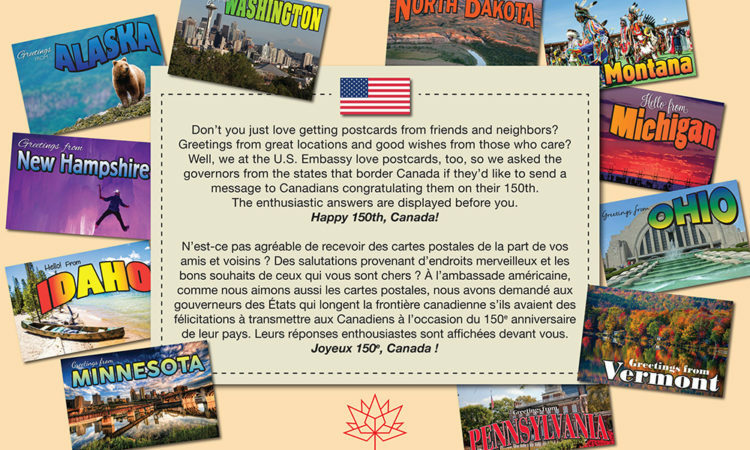 You're invited to celebrate 150 years of U.S.-Canada relations with U.S. Consulate Calgary. 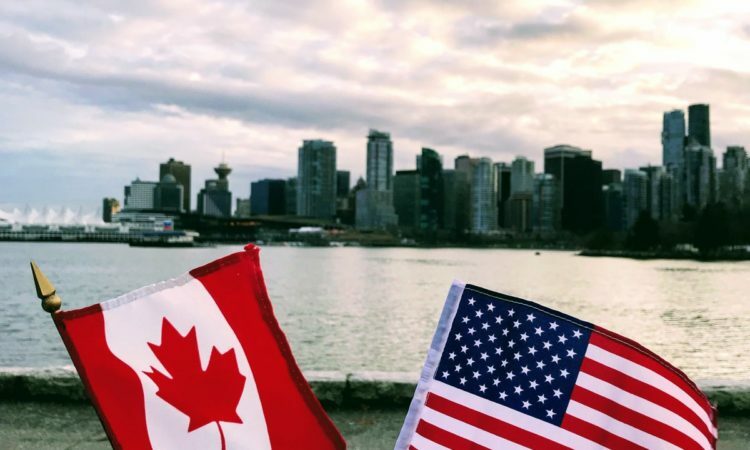 Canadian professionals in the fields of disability services, victim advocacy, and law enforcement will visit Washington, D.C., and other U.S. cities from June 19 to July 7 as participants in an International Visitor Leadership Program (IVLP). 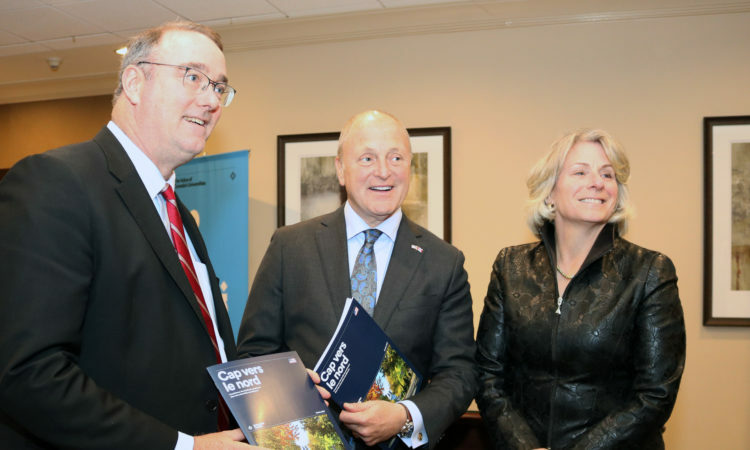 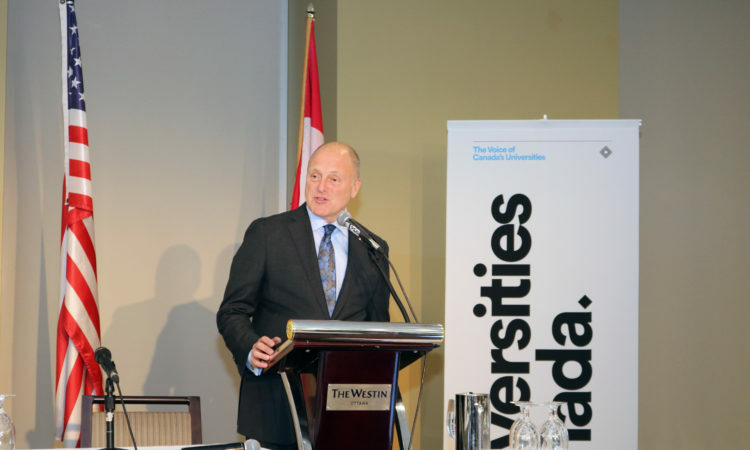 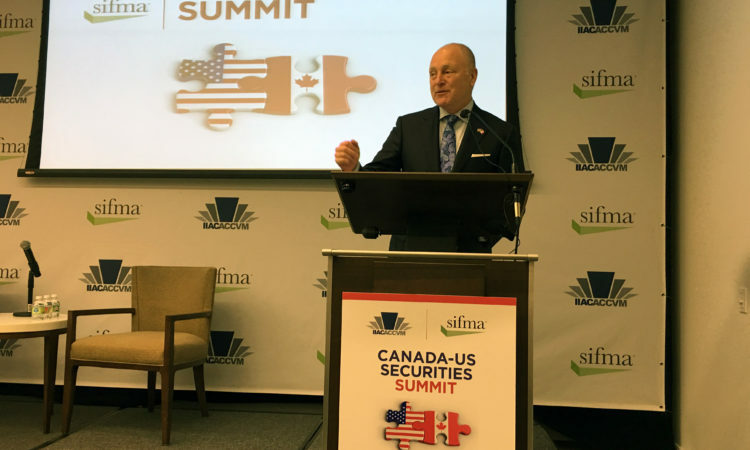 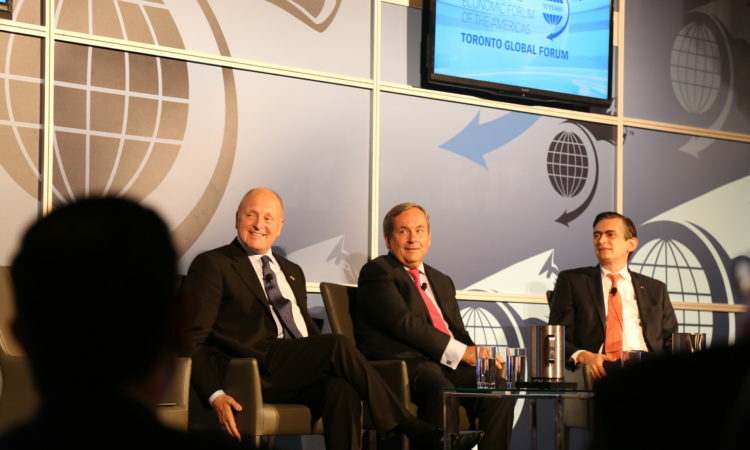 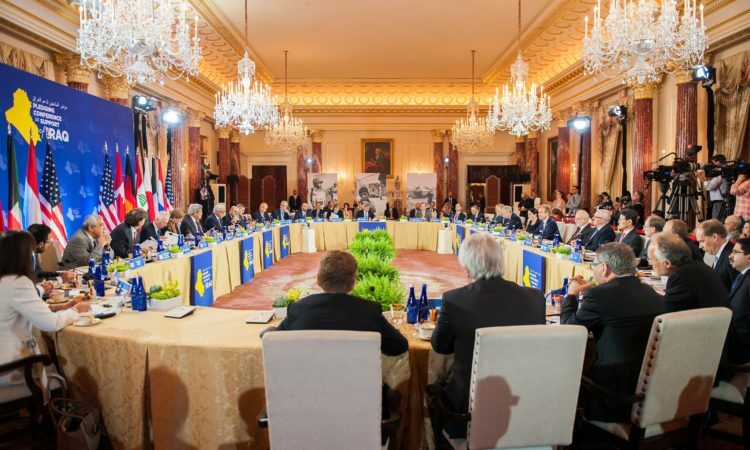 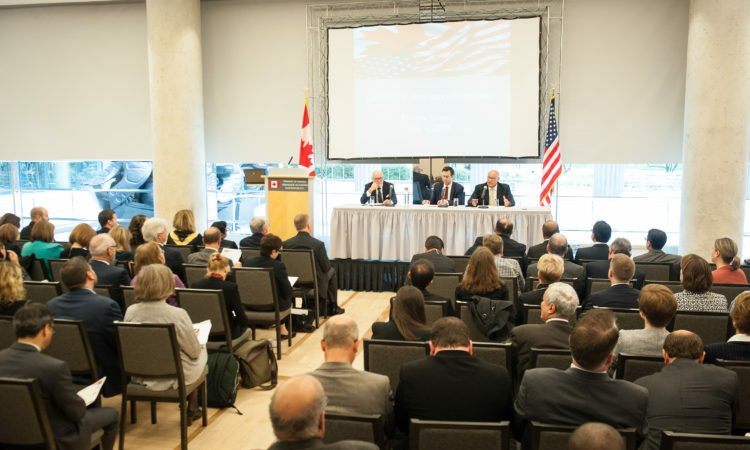 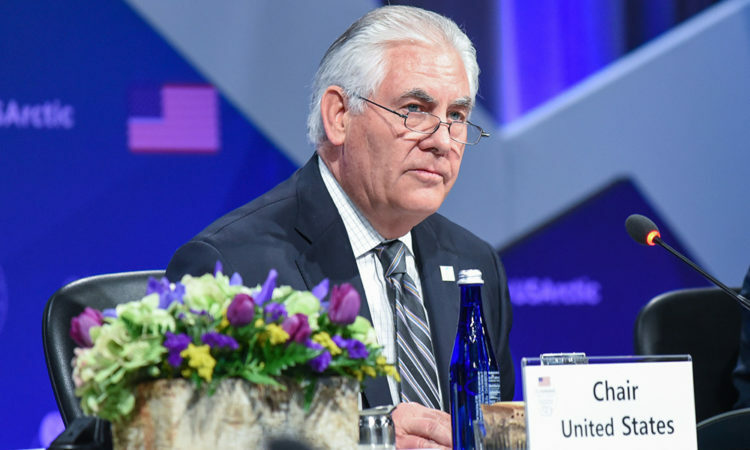 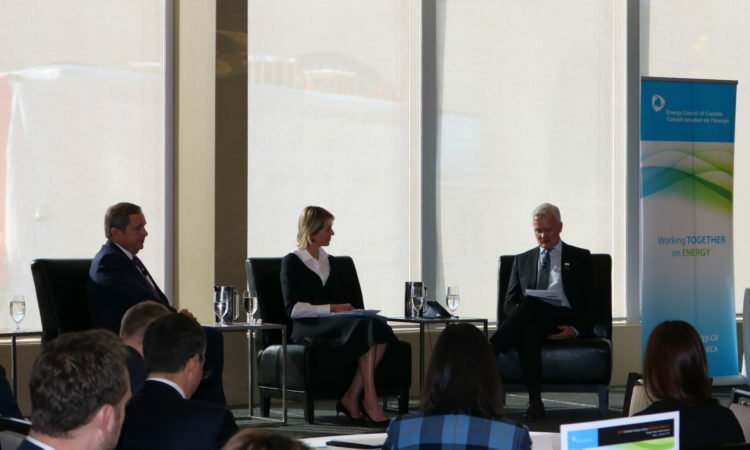 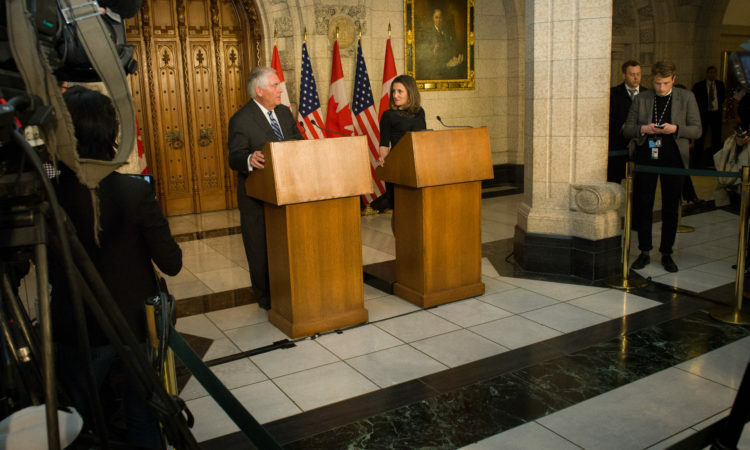 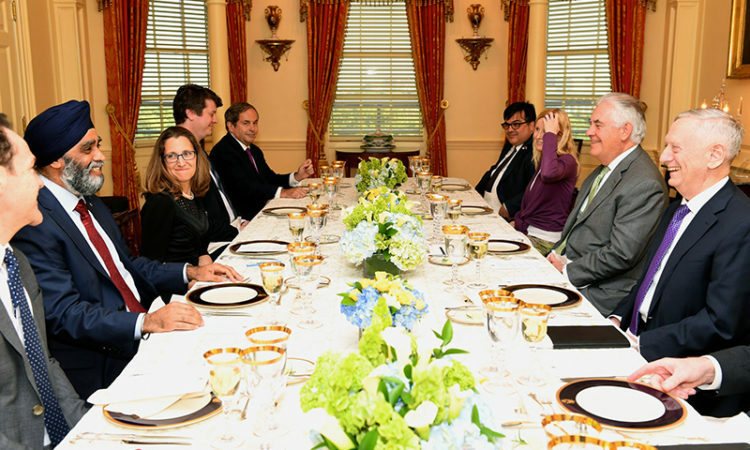 Under Secretary of State for Political Affairs Thomas Shannon and Assistant Deputy Minister for International Security and Political Affairs Mark Gwozdecky co-chaired the tenth U.S.-Canada High-Level Policy Review Group on June 1 in Ottawa. 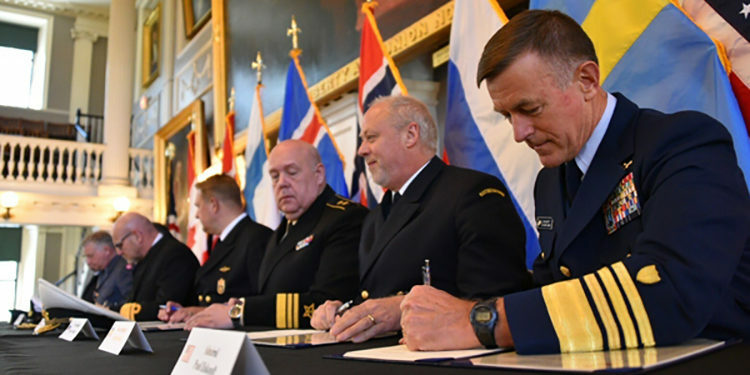 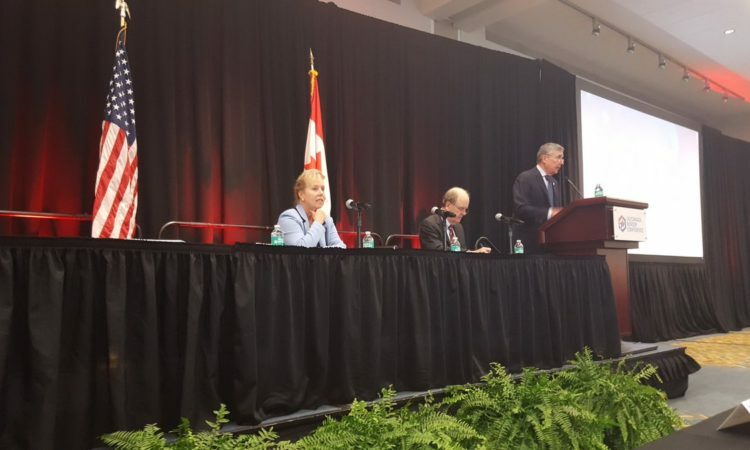 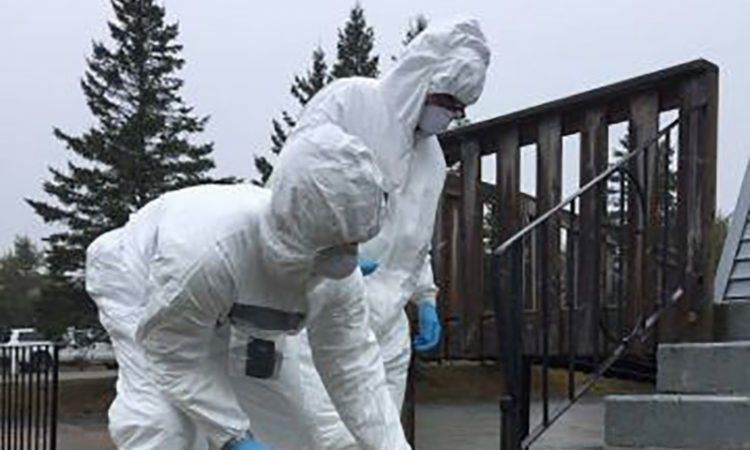 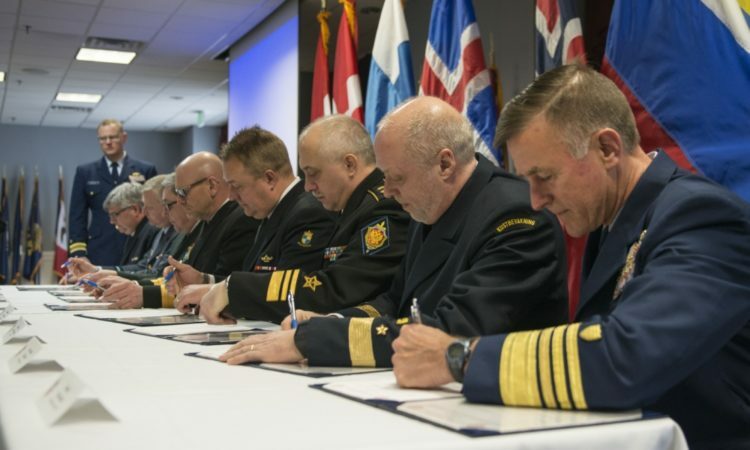 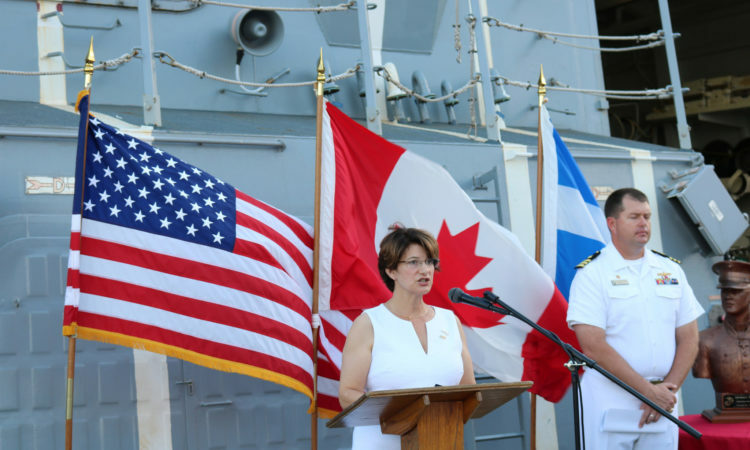 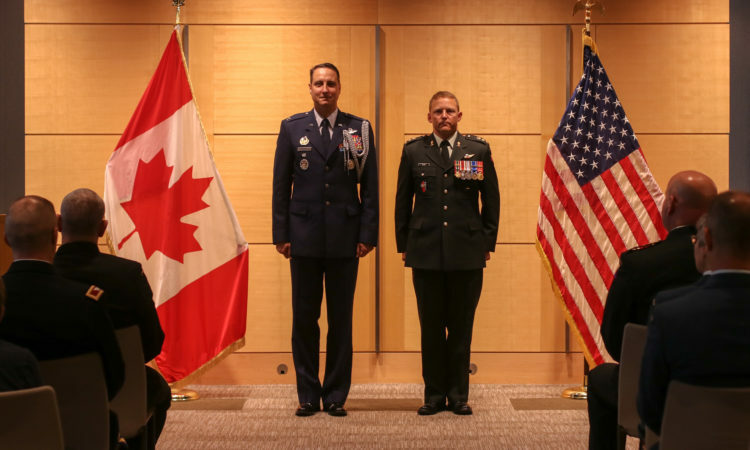 The United States and Canada recently held the first joint nuclear forensics exercise between the two countries, in Halifax, Nova Scotia, Canada. 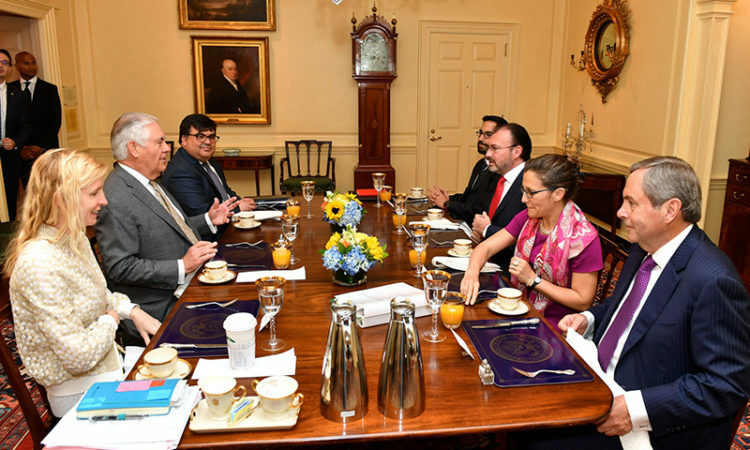 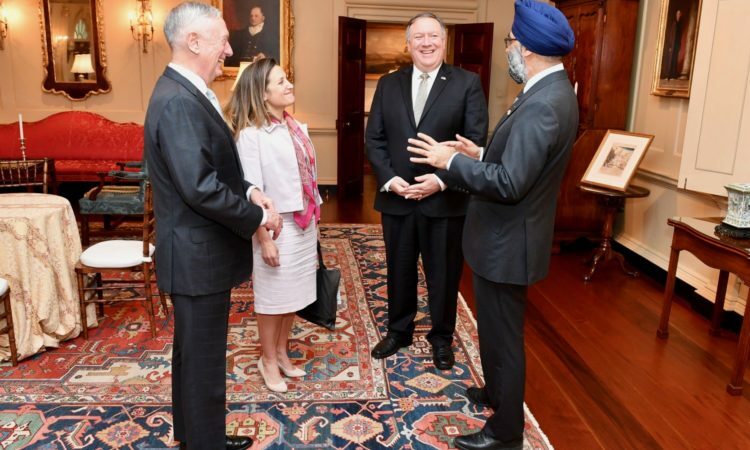 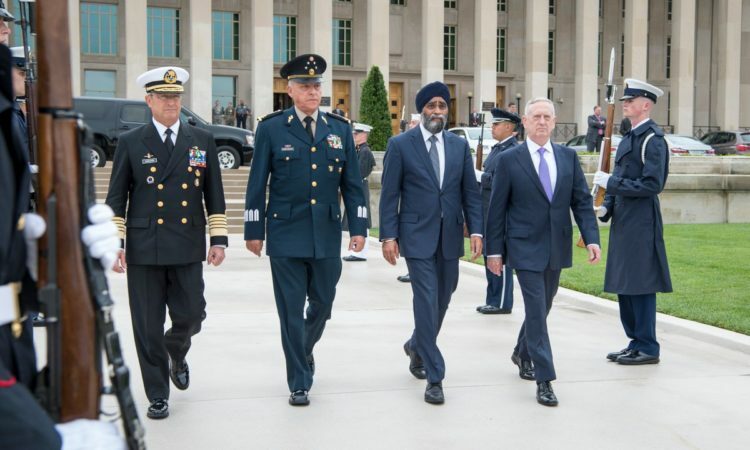 Defense Secretary Jim Mattis hosted the third North American Defense Ministerial meeting yesterday with Canadian Defense Minster of Harjit Sajjan, Mexican Defense Secretary Gen. Salvador Cienfuegos, and Adm. Vidal Soberón, secretary of the Mexican navy. 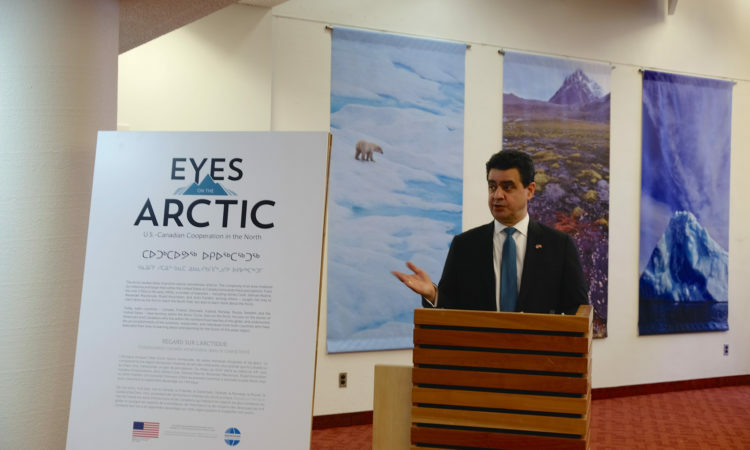 The U.S. Consulate General Quebec City presents Eyes on the Arctic & Northern Stars exhibits from May 17 to June 14 at Parks Canada office in Old Québec. 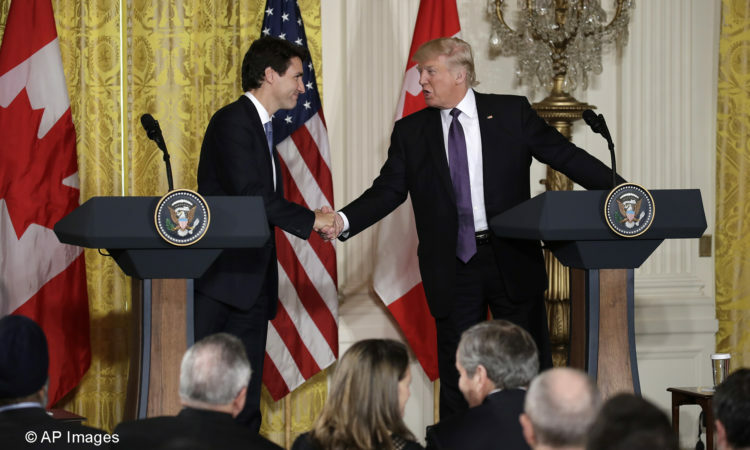 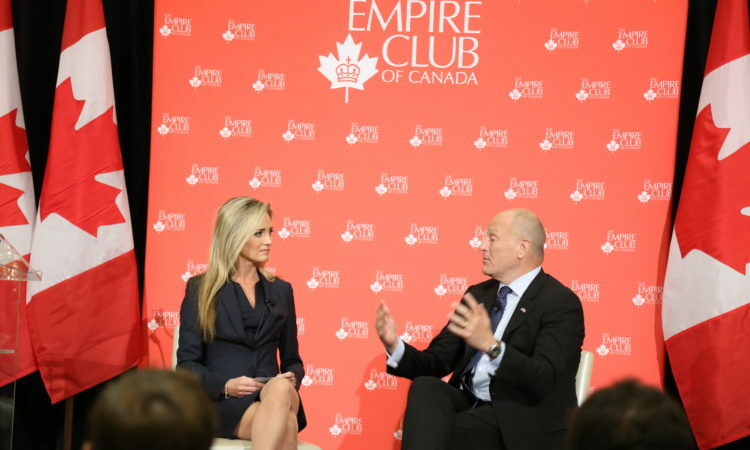 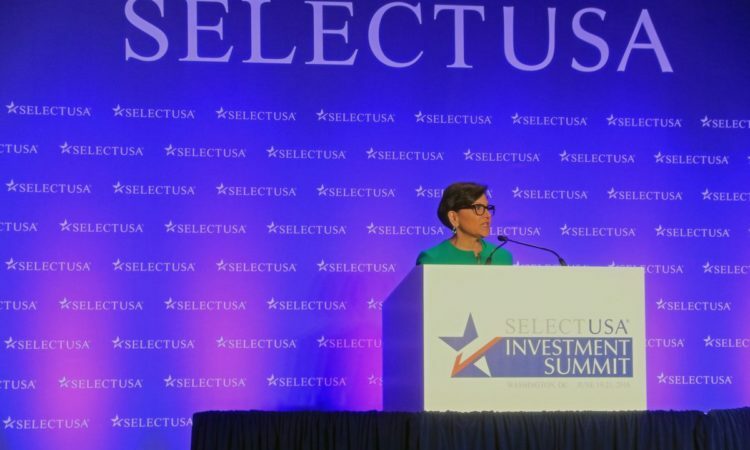 Today, U.S. Department of Commerce Secretary Wilbur Ross announced the initiation of new antidumping (AD) and countervailing duty (CVD) investigations to determine whether imports of 100- to 150-seat civil aircraft (civil aircraft) from Canada are being unfairly dumped in the United States, and whether Canadian producers are receiving alleged unfair subsidies. 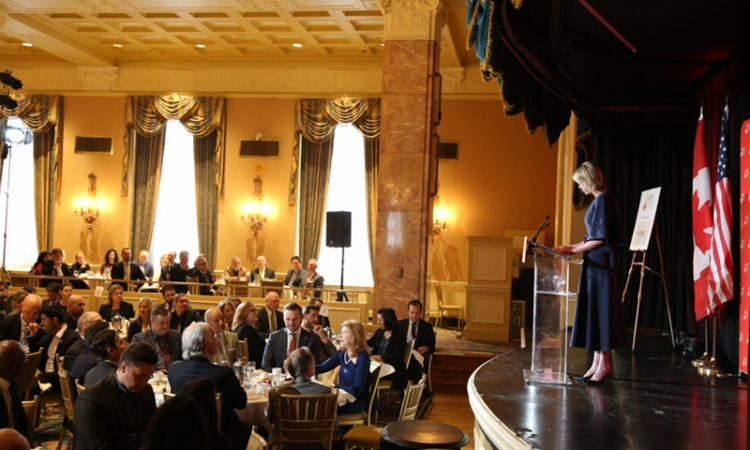 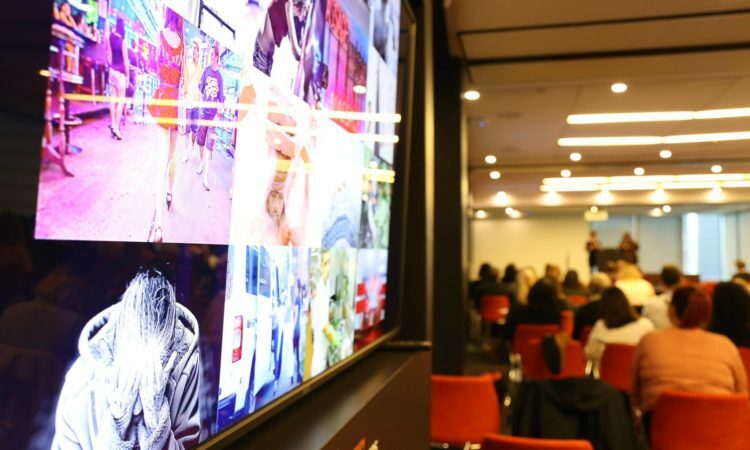 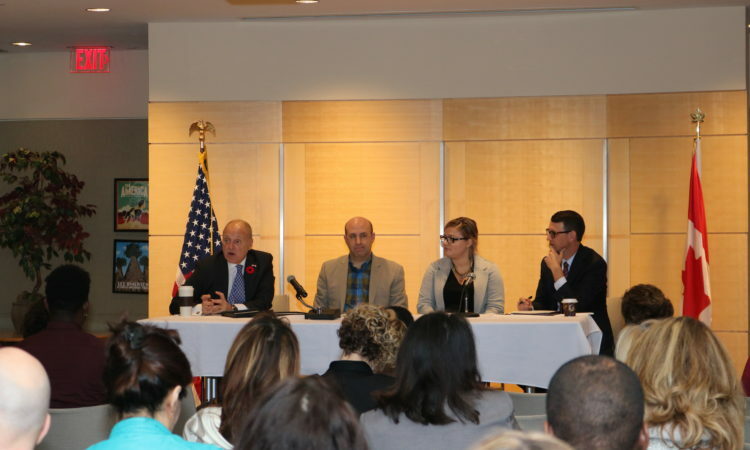 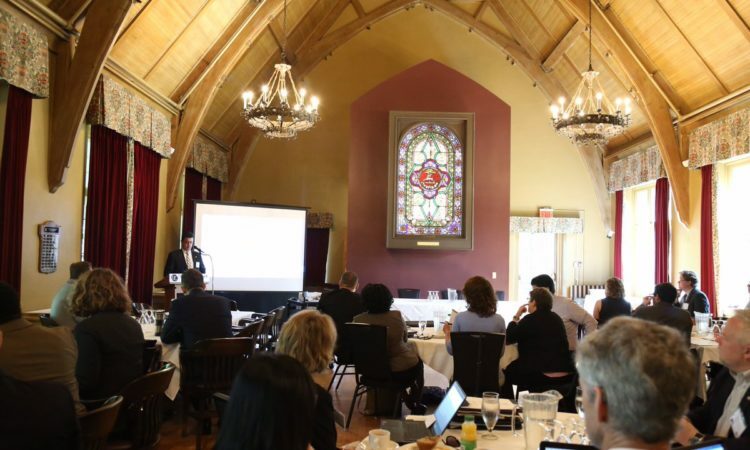 On May 4, the U.S. Consulate Toronto representatives attended the 1st Canadian Human Trafficking Survivors Summit organized by The Canadian Centre to End Human Trafficking and supported through the U.S. Mission to Canada’s Public Affairs Grants Program. 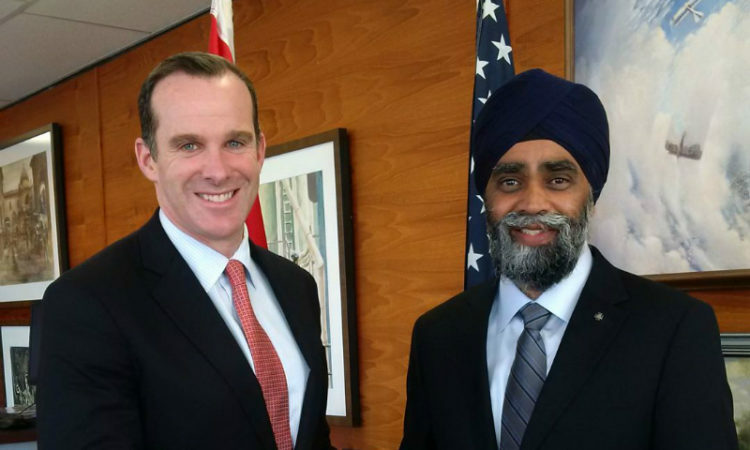 Special Presidential Envoy for the Global Coalition to Counter ISIS Brett McGurk visited Ottawa today for senior-level discussions with Canadian officials including Minister of Foreign Affairs Chrystia Freeland, Minister of National Defense Harjit Sajjan, and National Security Advisor Daniel Jean. 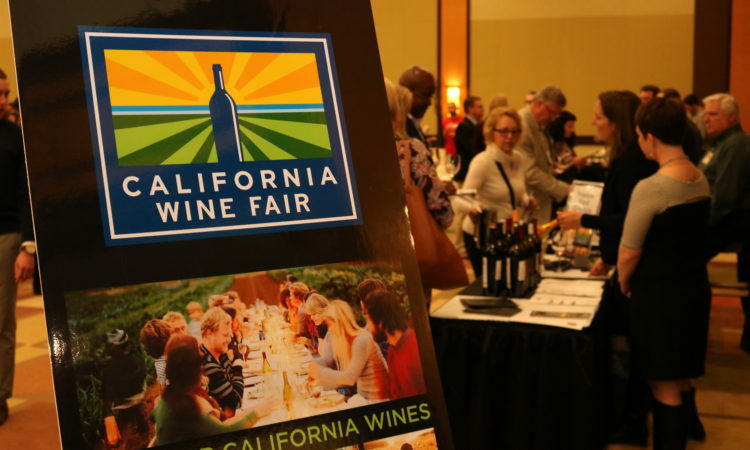 On March 31, U.S. Embassy Ottawa’s Chargé d’Affaires Elizabeth Aubin Moore joined trade representatives, media and consumers in celebrating the newest and best vintages of more than 75 California wineries at the California Wine Fair Ottawa, hosted by The Wine Institute. 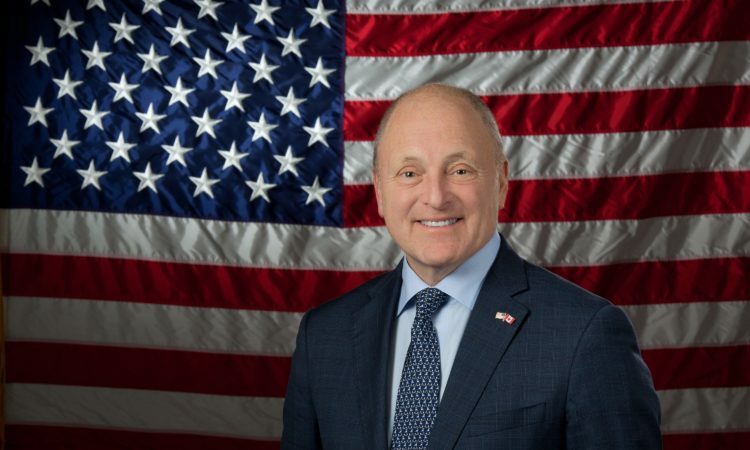 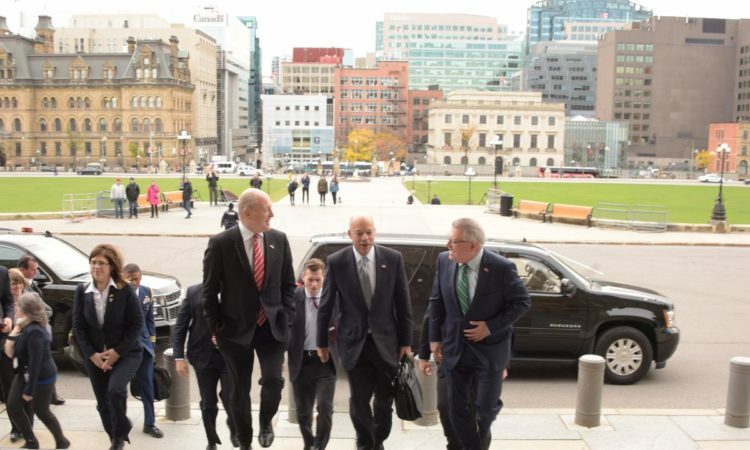 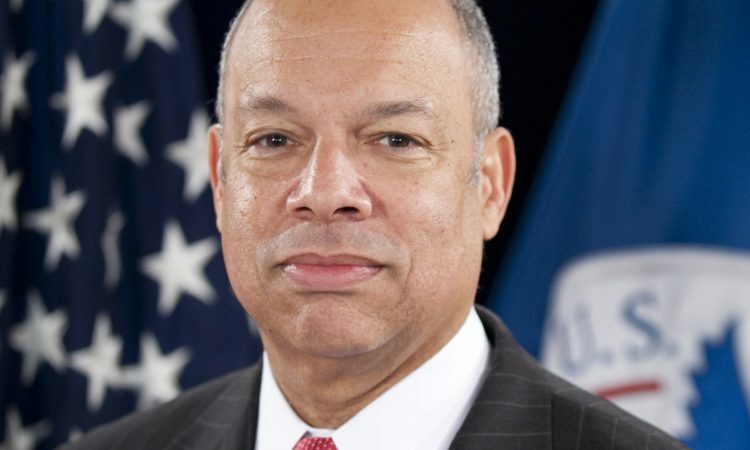 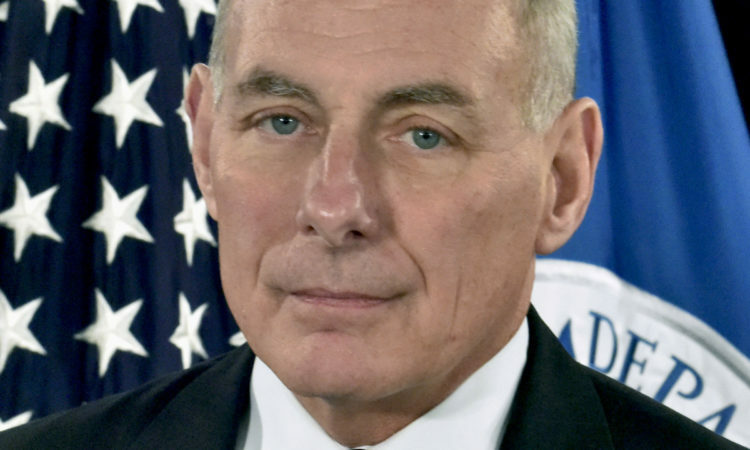 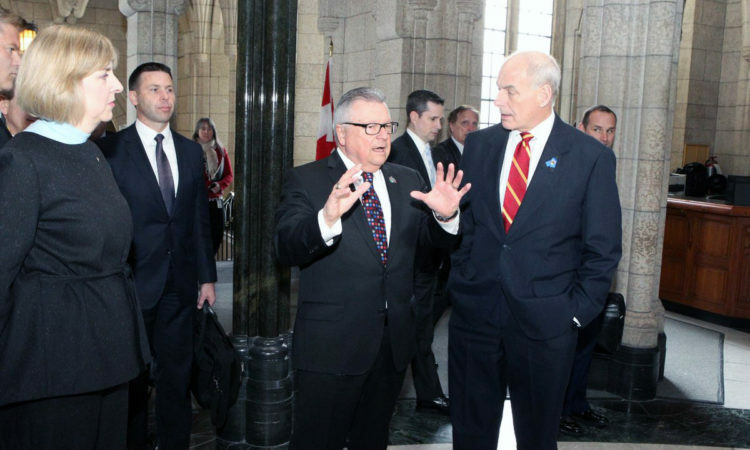 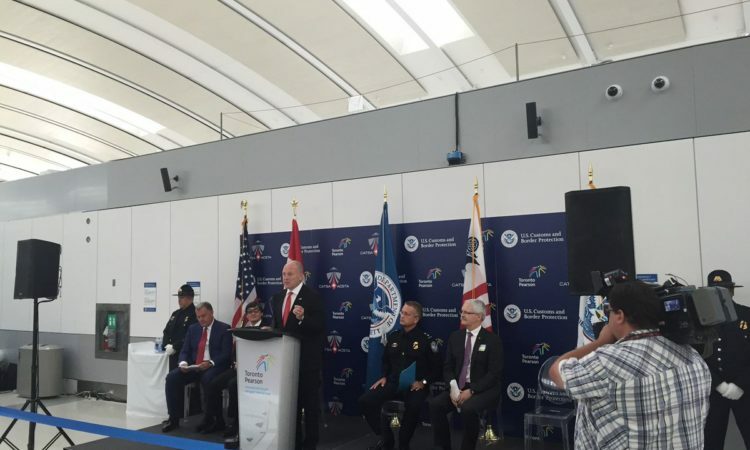 Today, the Honorable Ralph Goodale, Minister of Public Safety and Emergency Preparedness, met with the Honorable John Kelly, U.S. Secretary of Homeland Security, during his first trip to Canada as Secretary and they made the following statement. 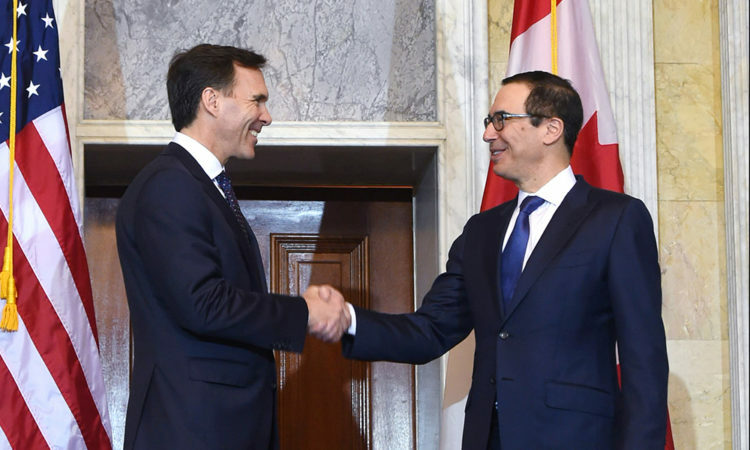 Secretary of the Treasury Steven Mnuchin met in Washington yesterday with Canada’s Minister of Finance Bill Morneau. 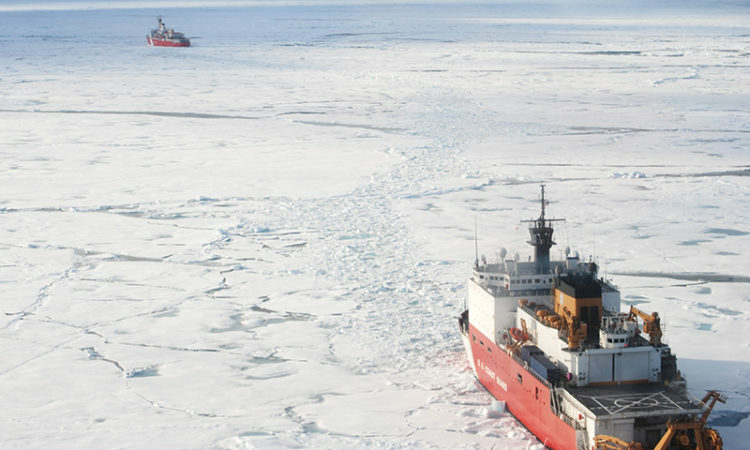 It is that time of year again when the “Ice Bridge” forms between Canada and the United States. 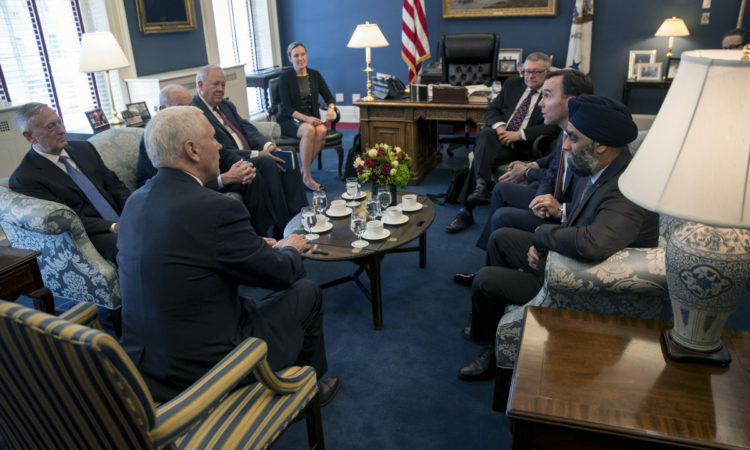 The Vice President met this afternoon with a team of Canadian ministers and their U.S. counterparts in conjunction with Prime Minister Justin Trudeau's visit to Washington. 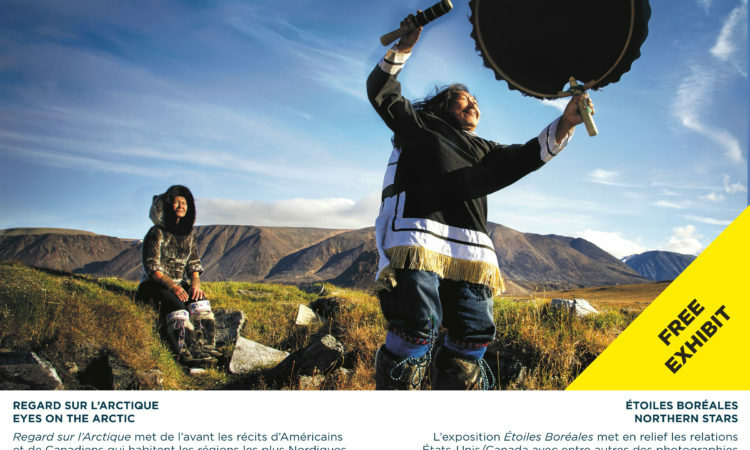 As Canada celebrates the 150th anniversary of Confederation, the Embassy of the United States in Ottawa will present two exhibitions and a photographic essay at the National Capital Commission’s 150 International Pavilion, 50 Sussex Drive, from February 1 to February 19, 2017. 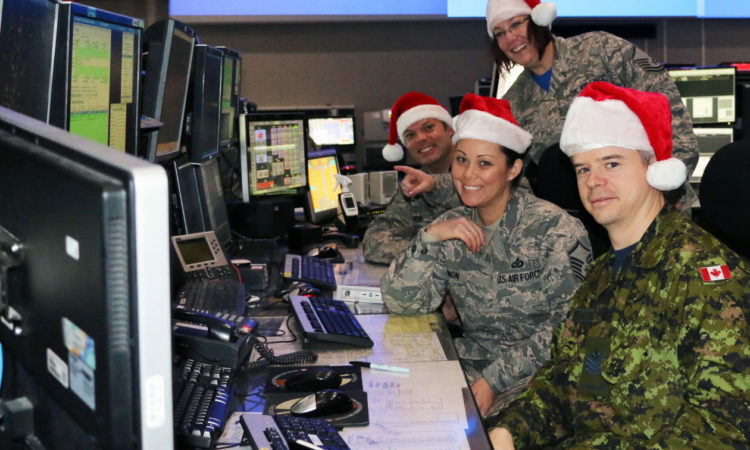 For 60 years, North American Aerospace Defense Command, otherwise known as NORAD, and its predecessor, the Continental Air Defense Command (CONAD) have tracked Santa's flight. 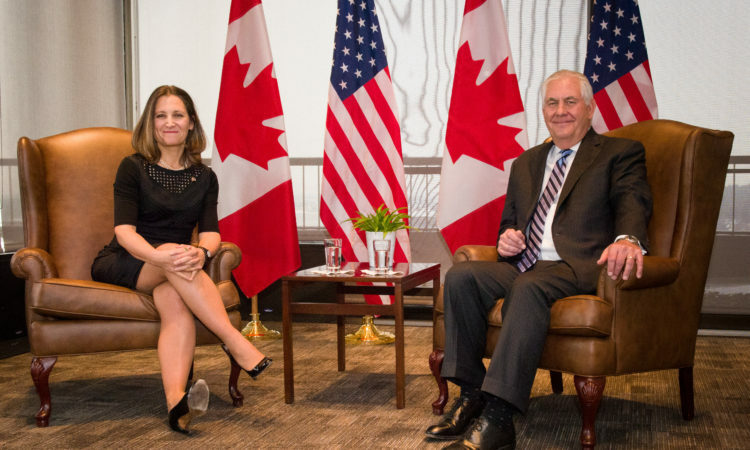 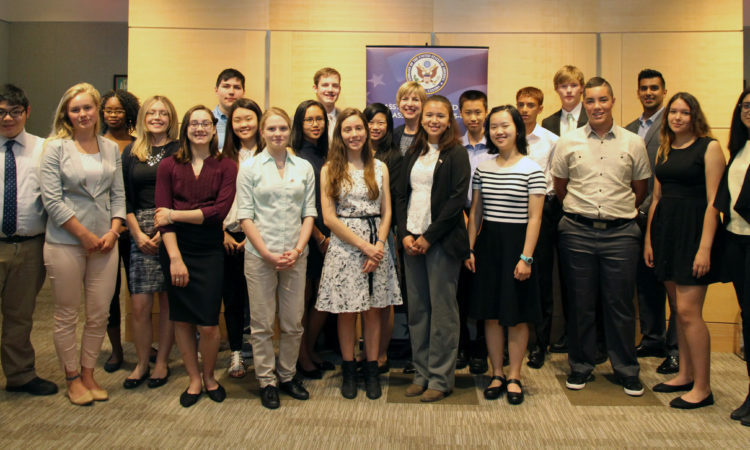 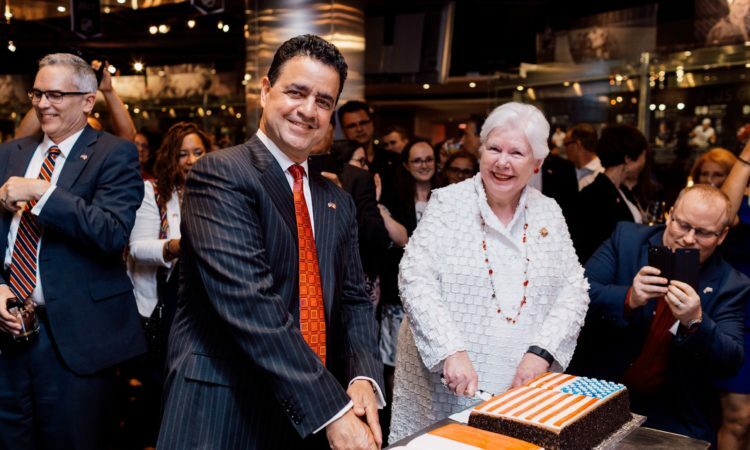 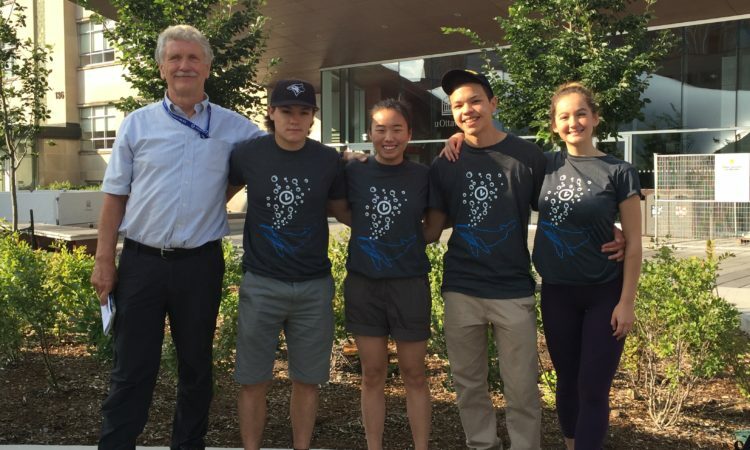 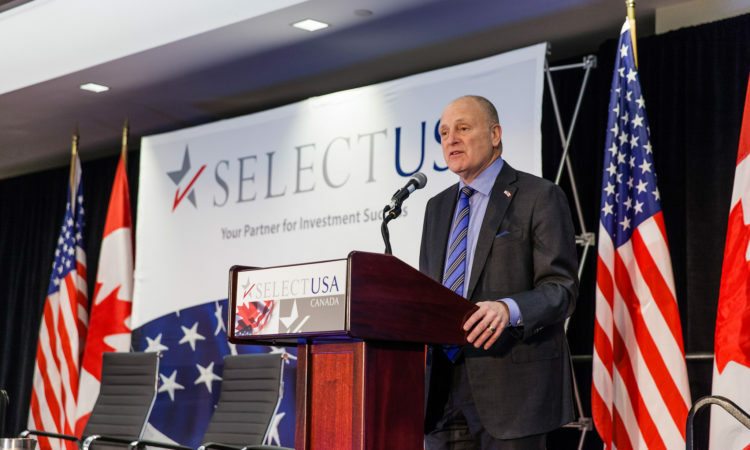 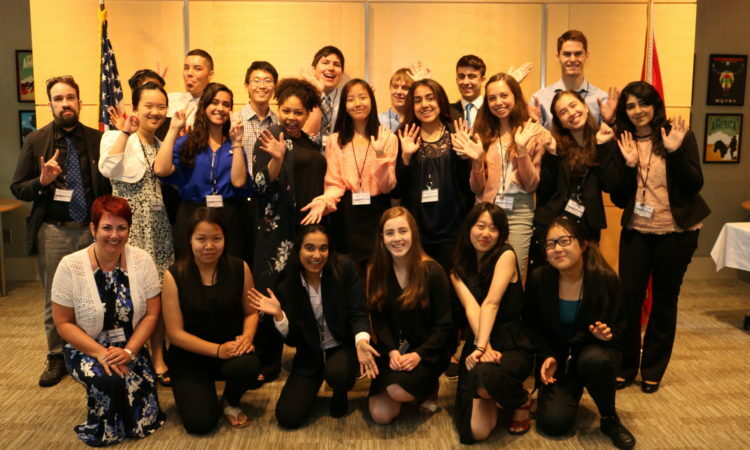 The U.S. Mission to Canada is pleased to announce a grant of USD$150,000 from the U.S. Department of State to implement a Refugee Youth Leadership Program in the Greater Toronto Area. 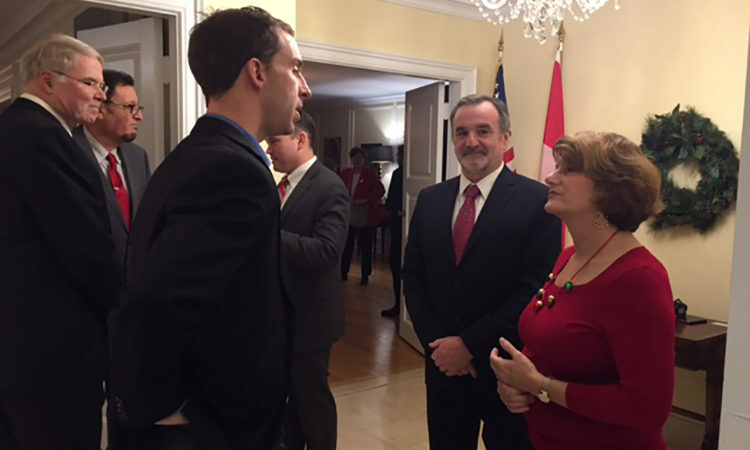 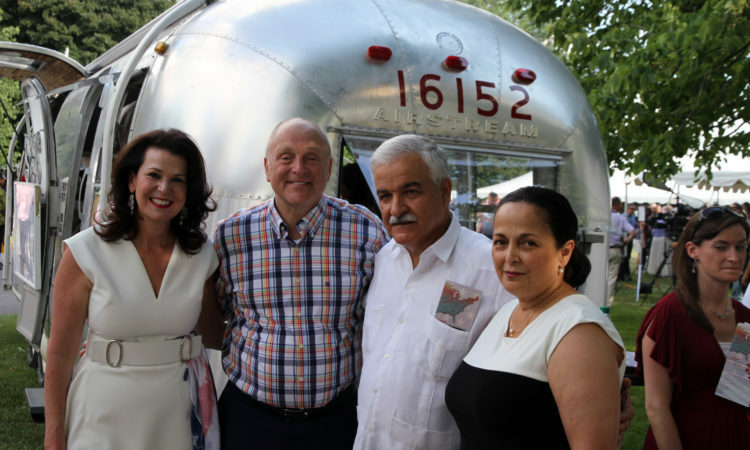 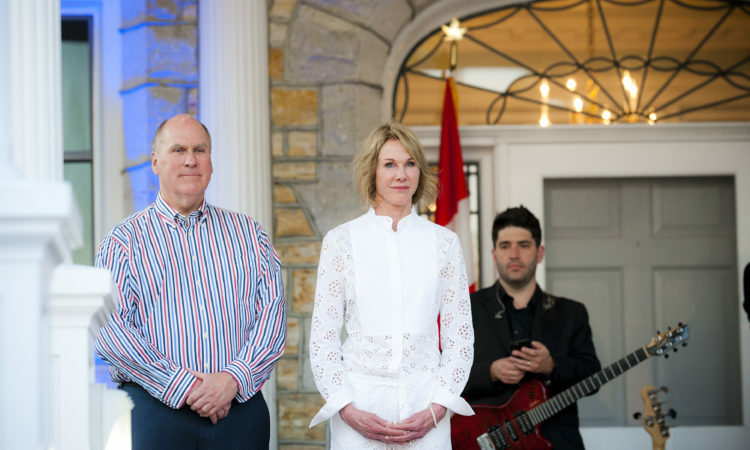 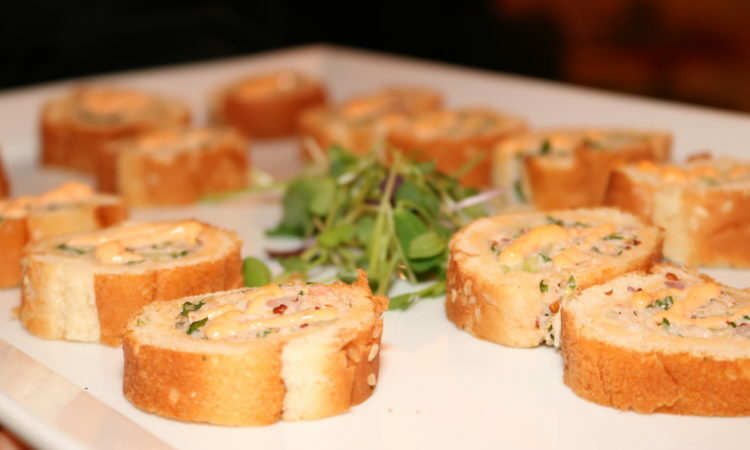 Quebec Consul General Allison Areias Vogel and her husband René officially launched winter holiday celebrations during a reception hosted at their residence. 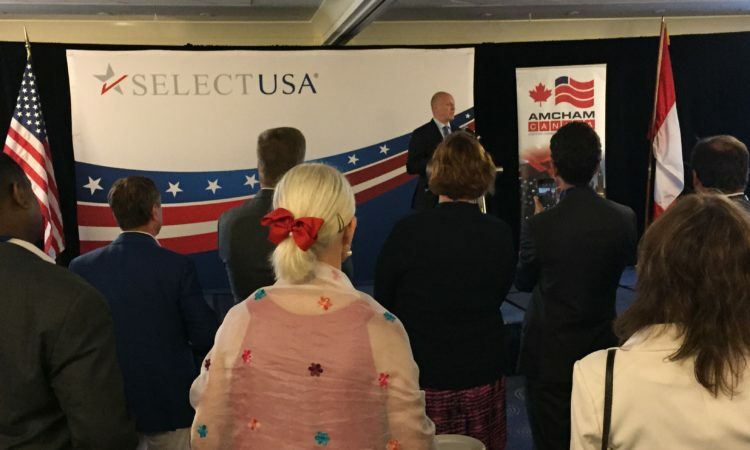 "Our exceptional and unique ties are rooted in a common border that stretches for 5,525 miles, over 200 years of closely interwoven history and culture, our largest economic relationship worldwide, our similar values." 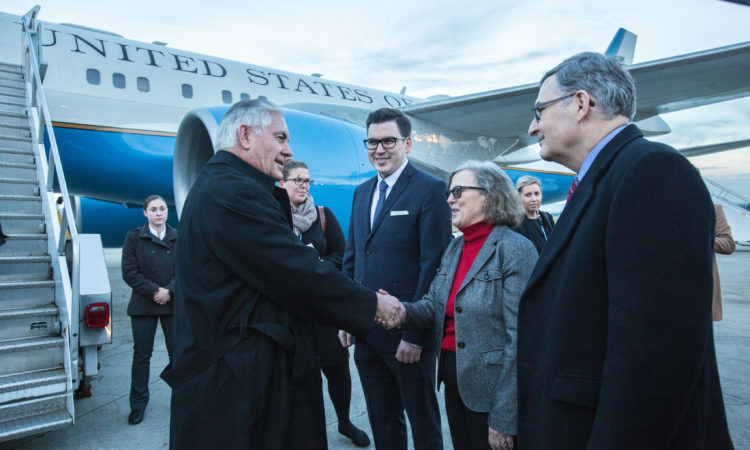 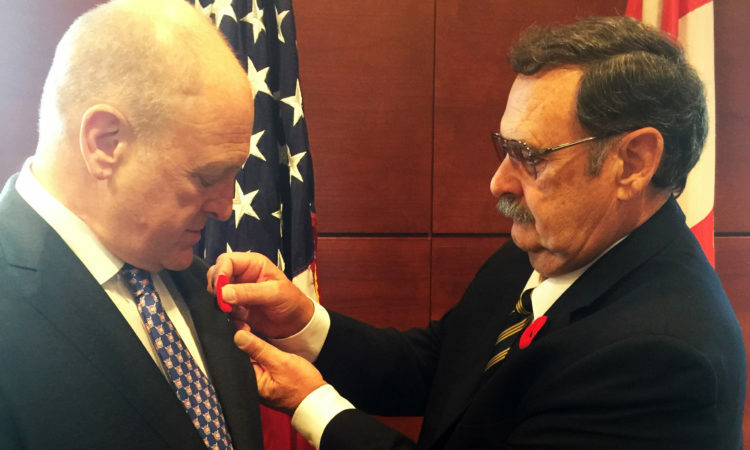 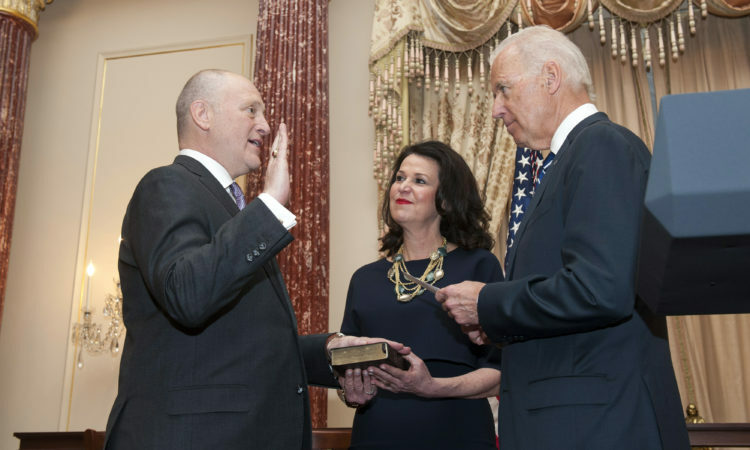 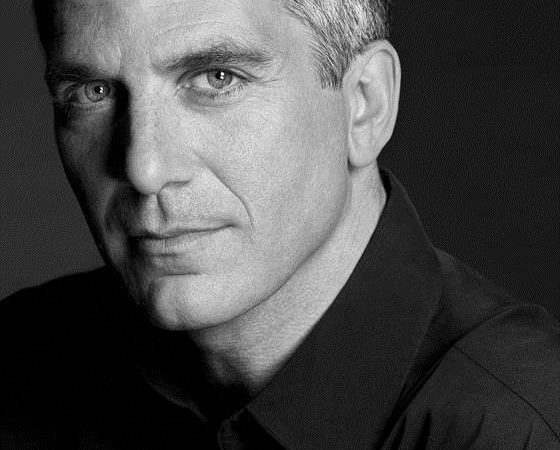 "The U.S. Embassy is committed to being a good friend and neighbor." 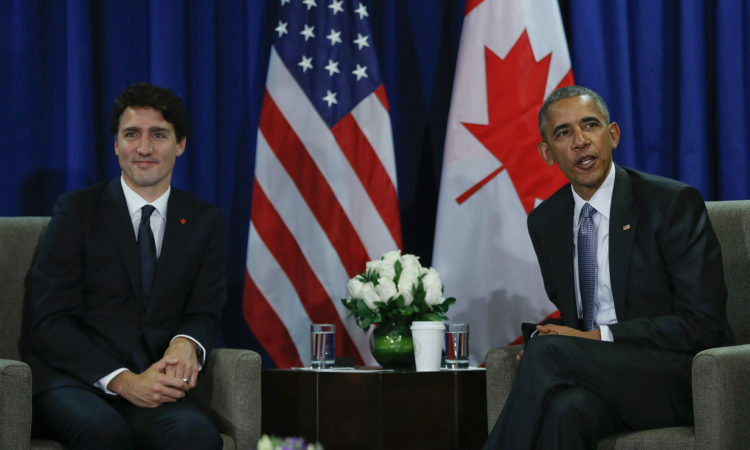 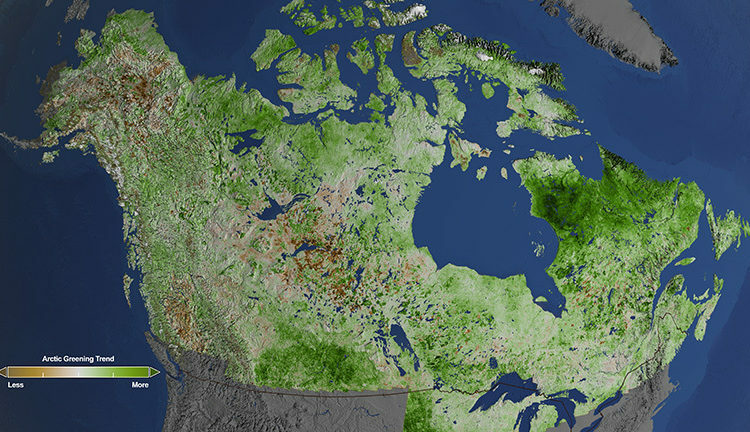 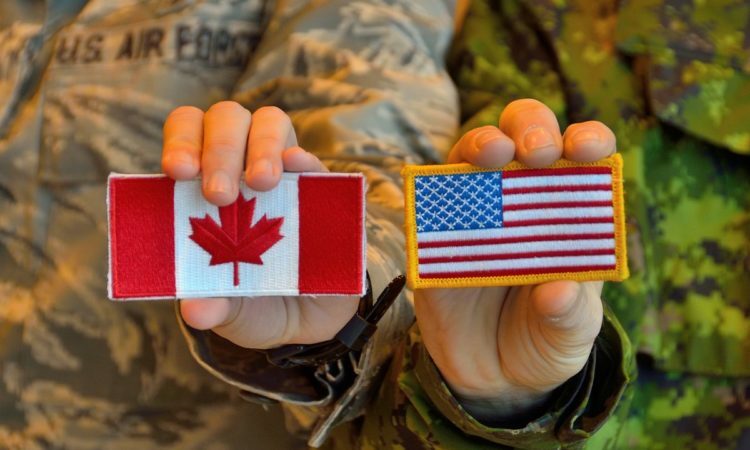 Few nations on Earth share more than America and Canadians. 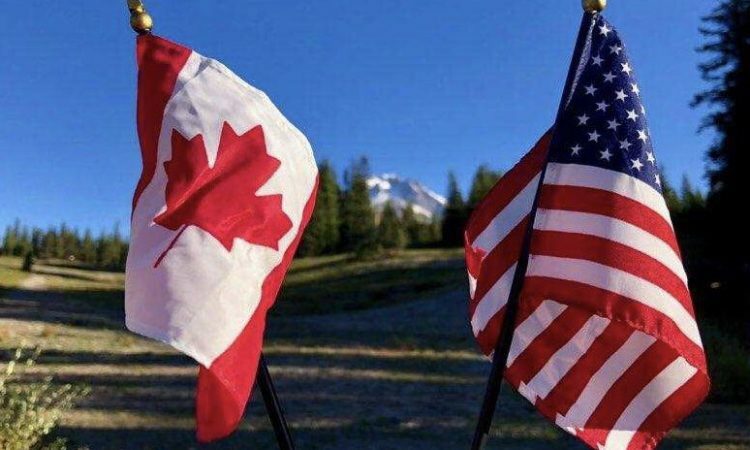 The FCC's Enforcement Bureau and the Canadian Radio-Television and Telecommunications Commission today announced a formal agreement, committing the two agencies to work together to combat unlawful robocalls. 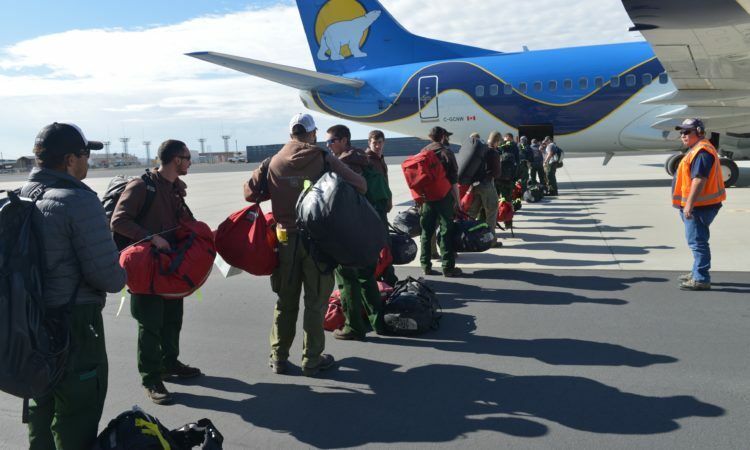 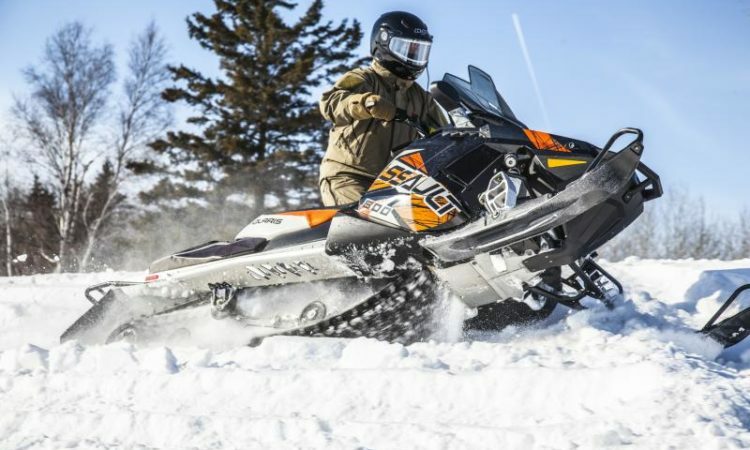 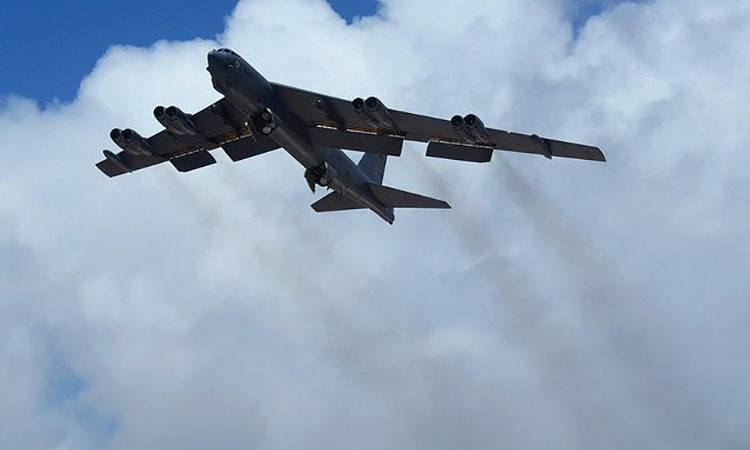 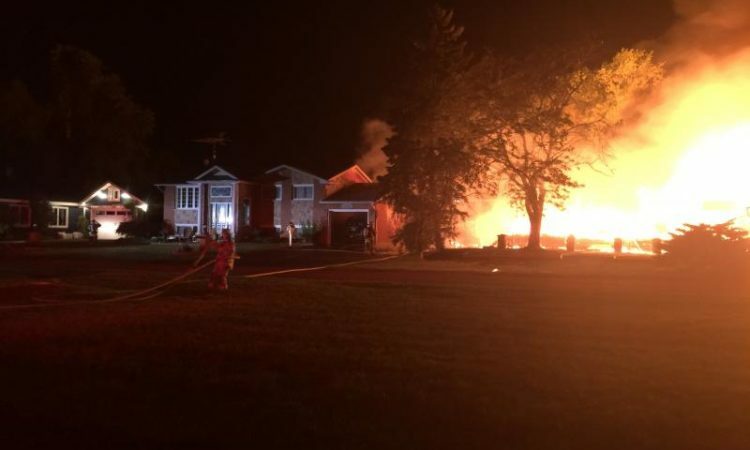 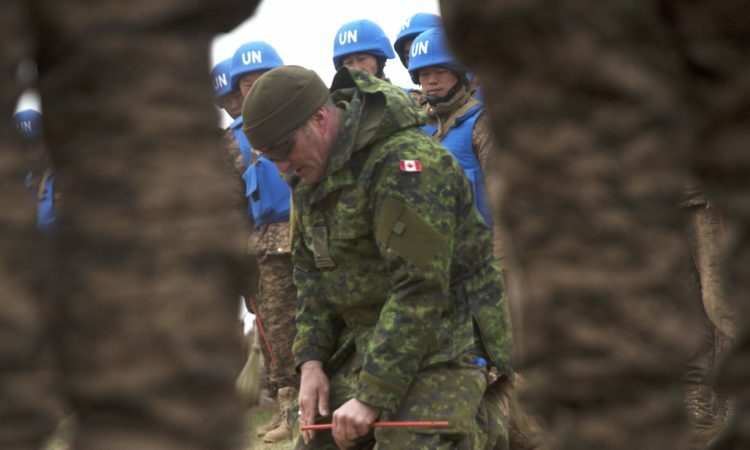 Aircraft, personnel and equipment from the Canadian Armed Forces and the United States Air National Guard have deployed to Yellowknife, N.W.T. 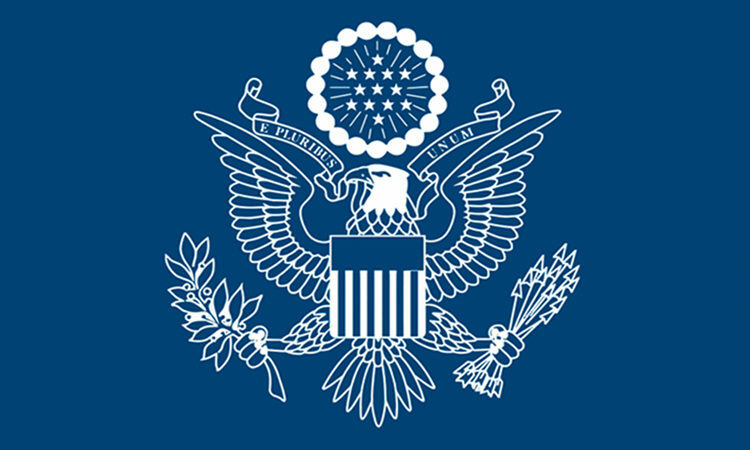 as part of Exercise VIGILANT SHIELD 17 from October 17 to 21, 2016. 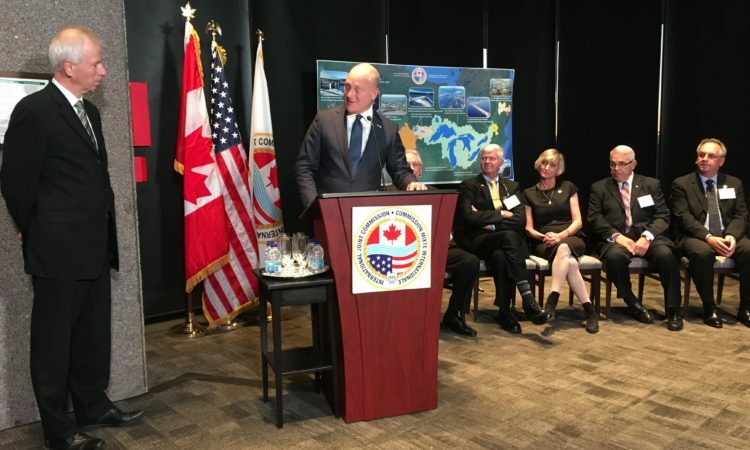 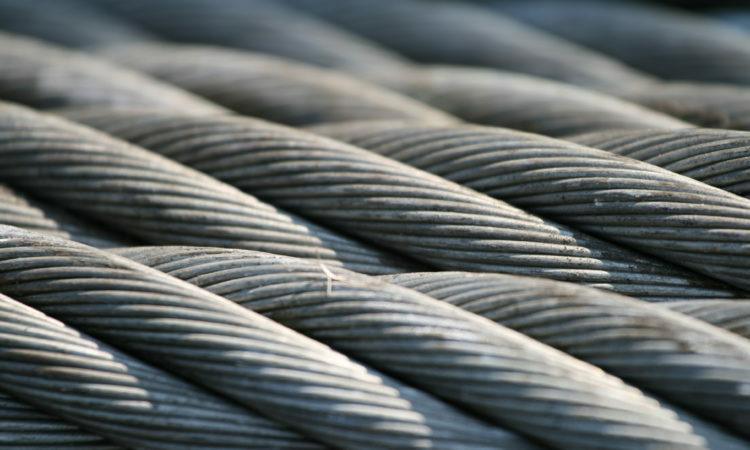 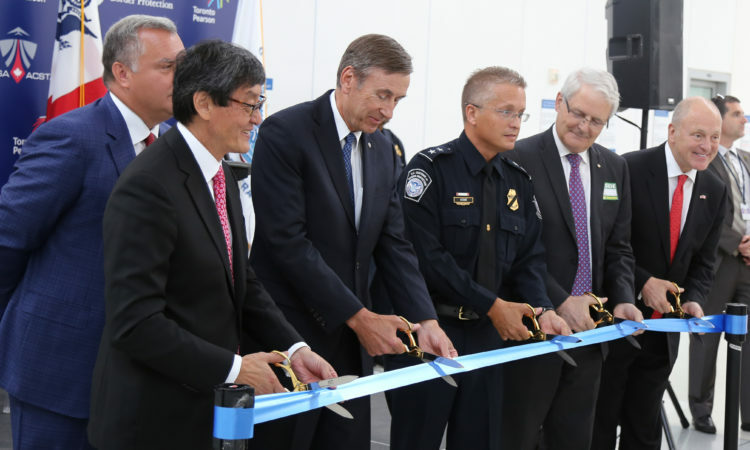 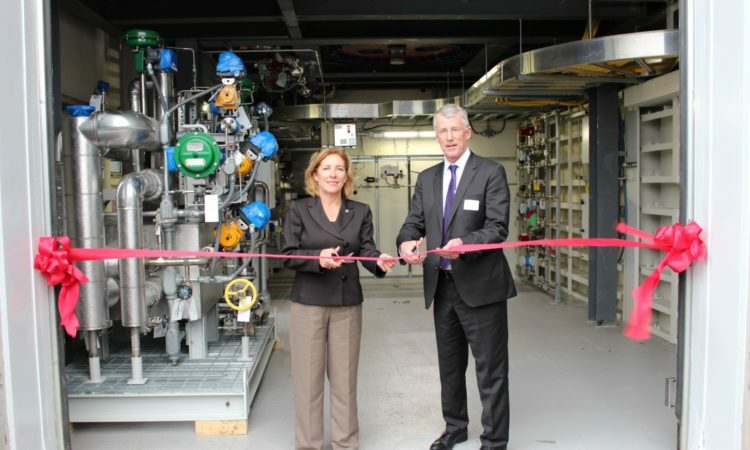 The U.S. Department of Energy (DOE) and Canada’s Natural Resources Canada (NRCan) today announced the opening of a new 1 Megawatt Thermal (MWth) facility to test an advanced process to capture carbon dioxide (CO2) emissions from coal-fired power plants. 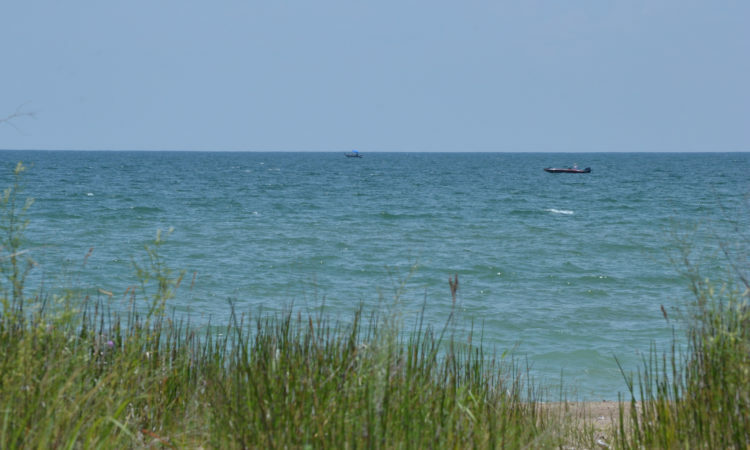 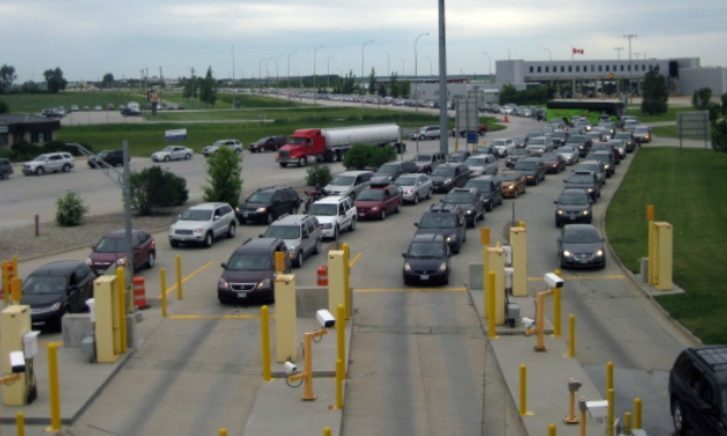 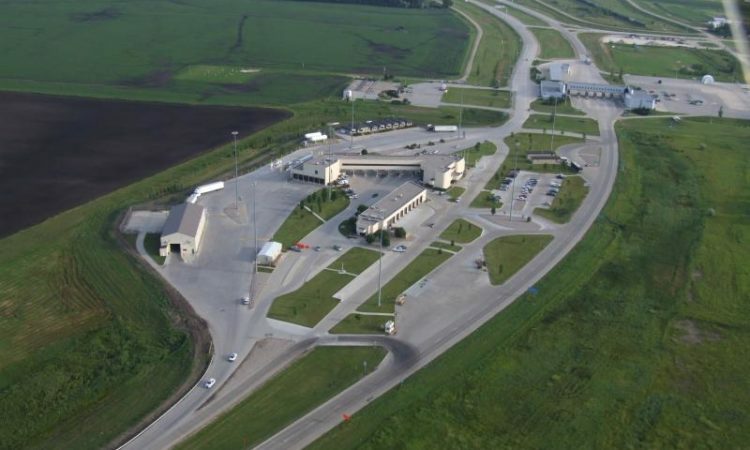 U.S. Customs and Border Protection is reminding travelers planning trips across the border into the United States this holiday weekend to plan ahead and anticipate increased traffic volumes. 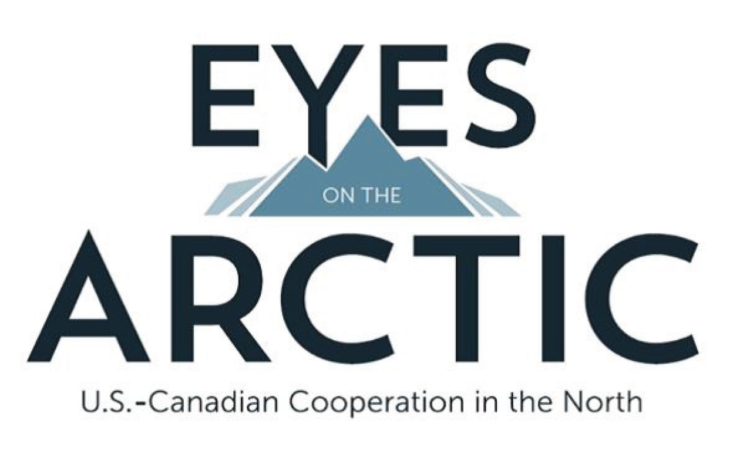 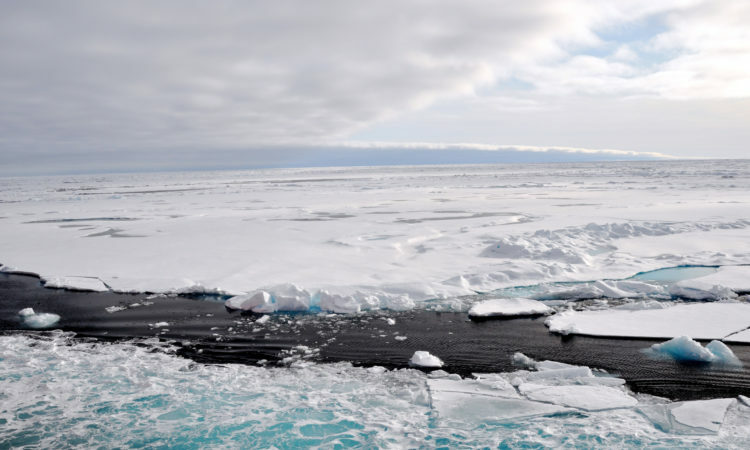 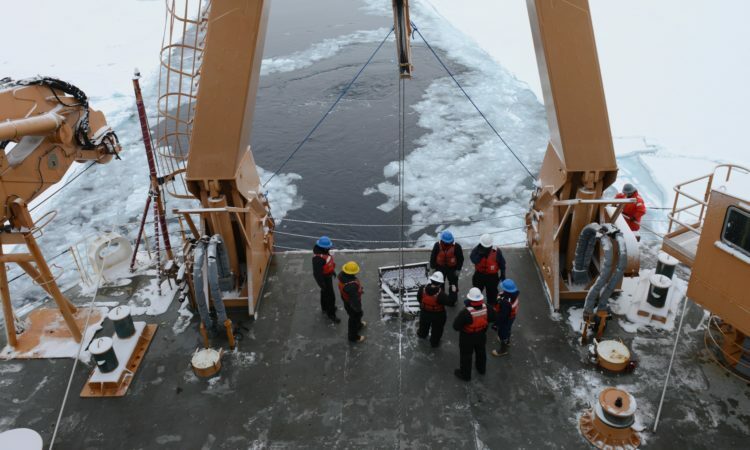 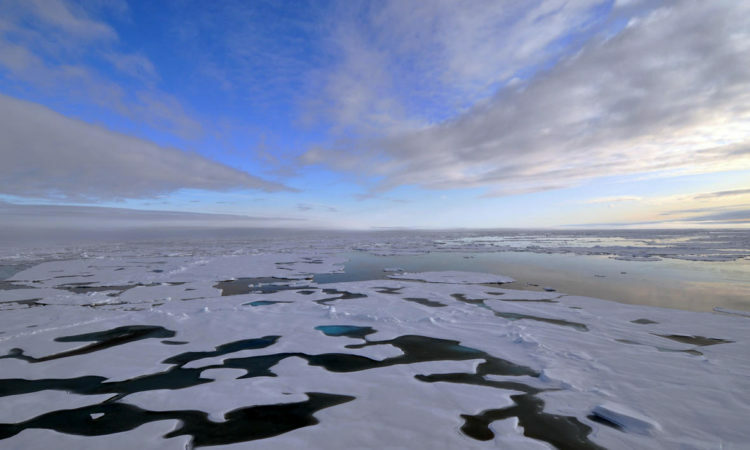 "Together, we have already made progress that we can build upon to make invaluable and never-before possible contributions to Arctic science." 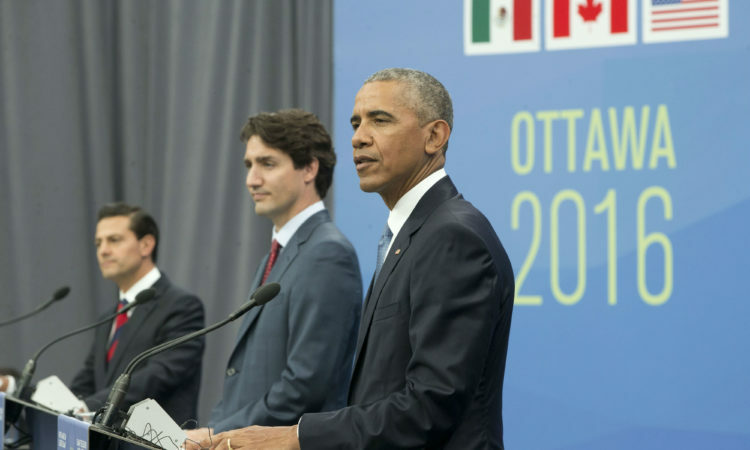 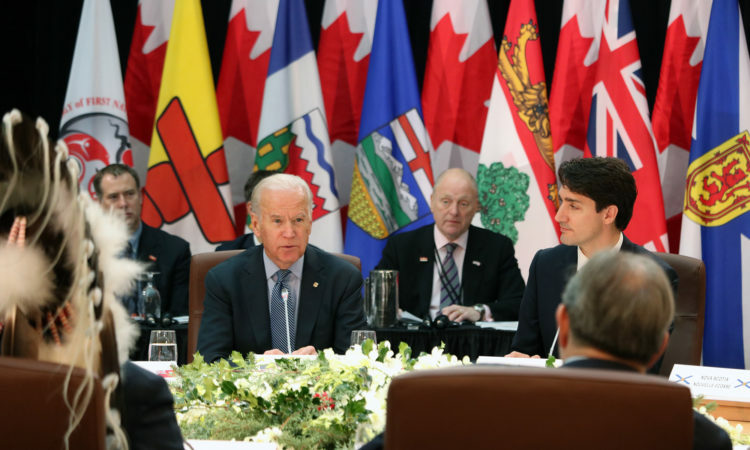 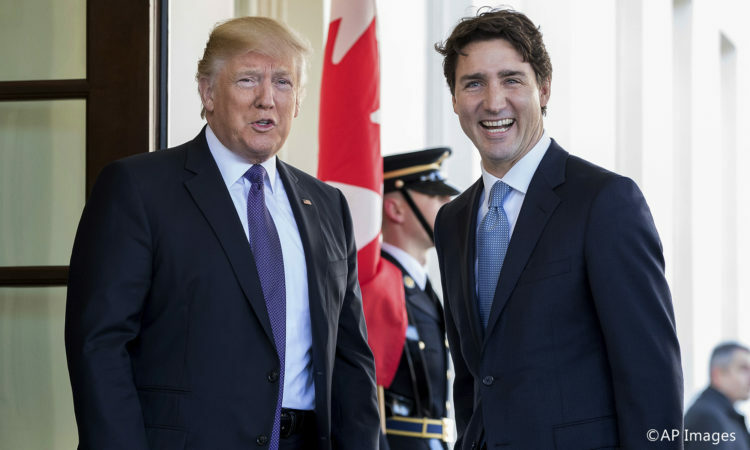 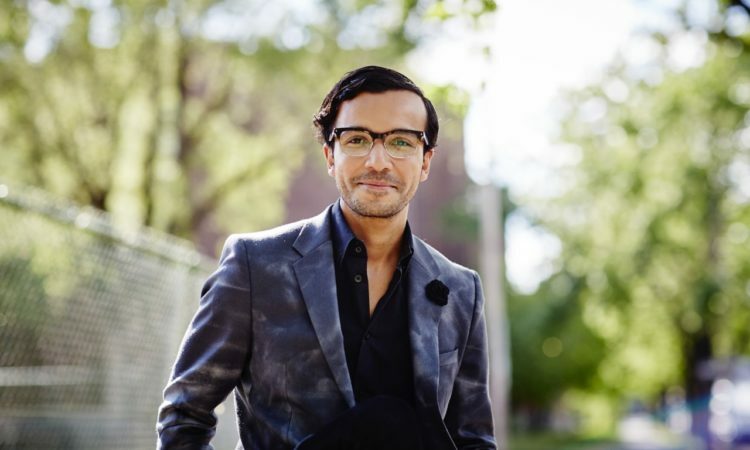 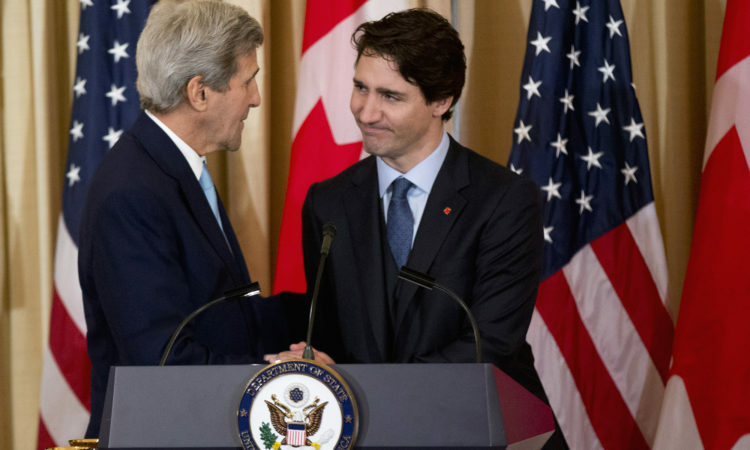 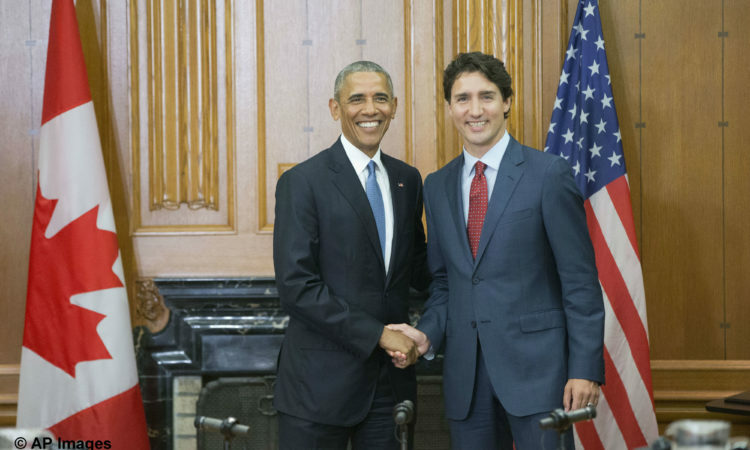 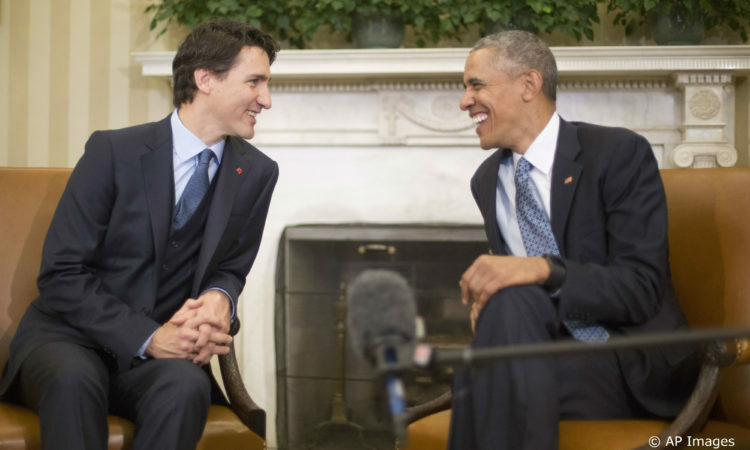 "On behalf of the United States, I would like to thank the Government of Canada for hosting the Fifth Replenishment Conference of the Global Fund to Fight AIDS, Tuberculosis, and Malaria." 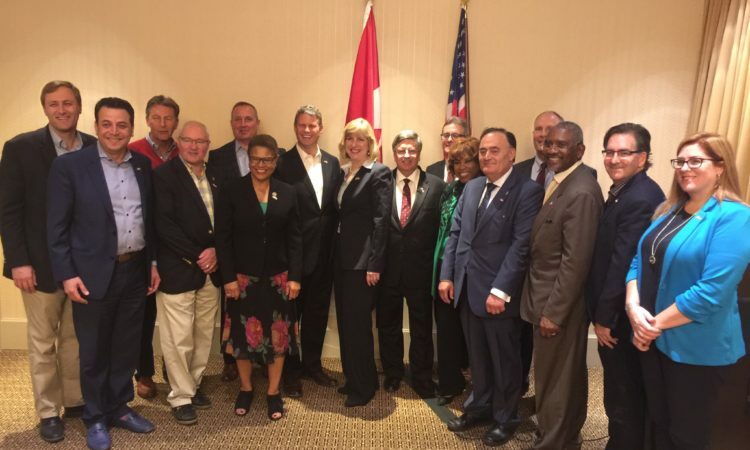 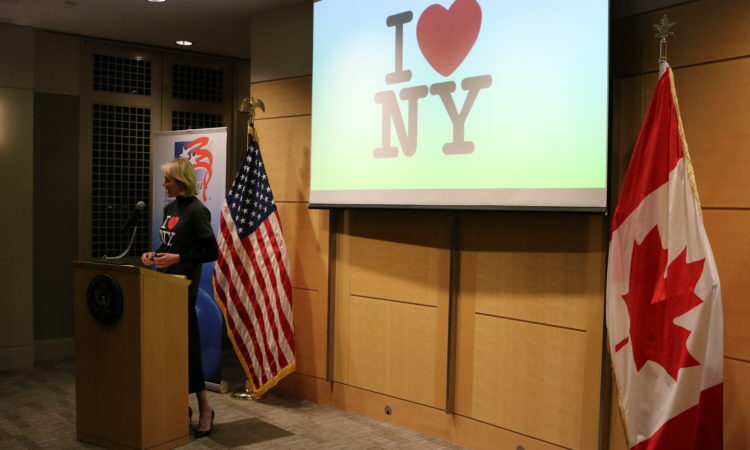 U.S. Deputy Secretary of State Heather Higginbottom will lead the official U.S. government delegation to the Global Fund to Fight AIDS, Tuberculosis and Malaria's Fifth Replenishment Conference, which will be held September 16-17 in Montreal, Canada. 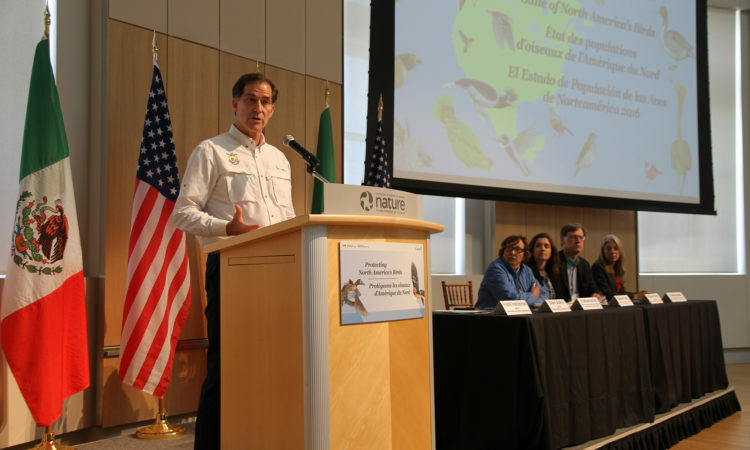 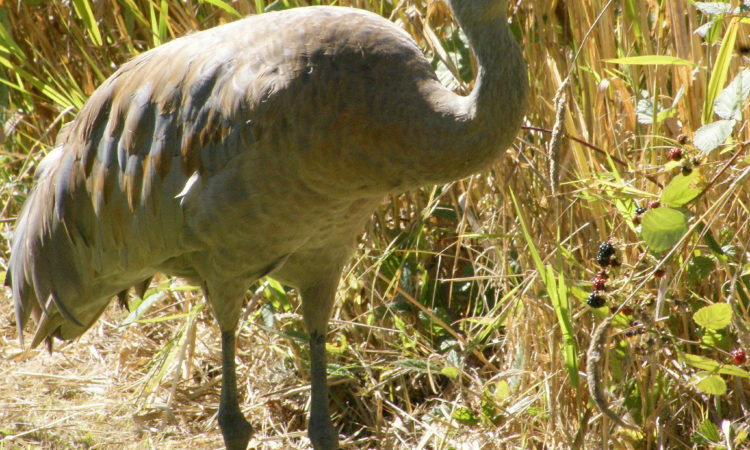 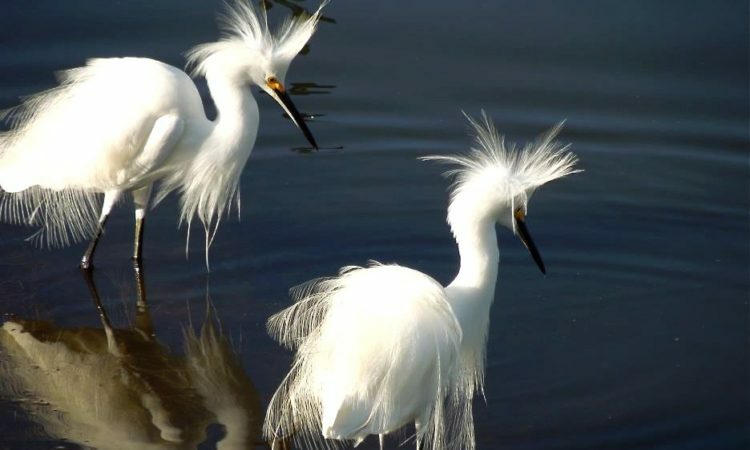 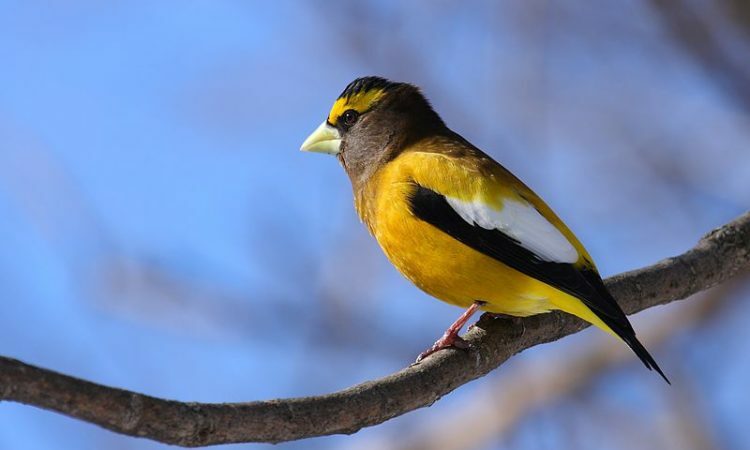 August 16 marked the 100th anniversary of a treaty signed between the United States and Canada, a treaty that has led to a century’s worth of conservation efforts aimed at protecting some of Earth’s most precious animals: migratory birds.